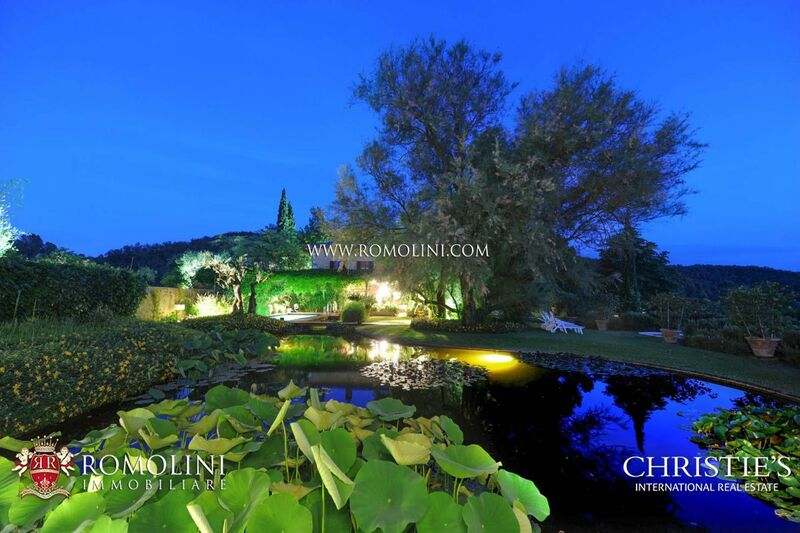 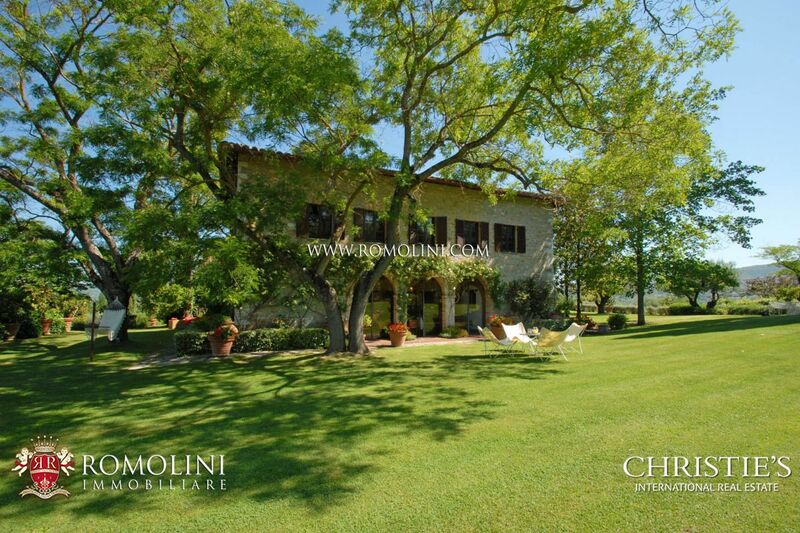 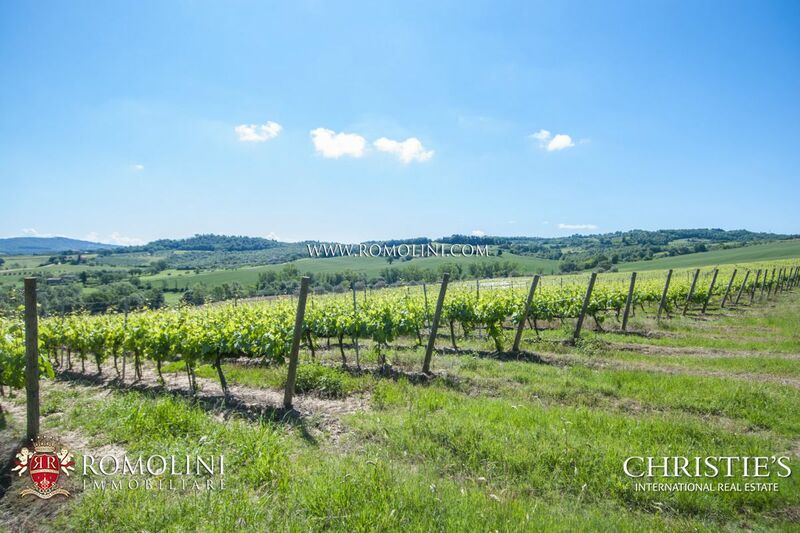 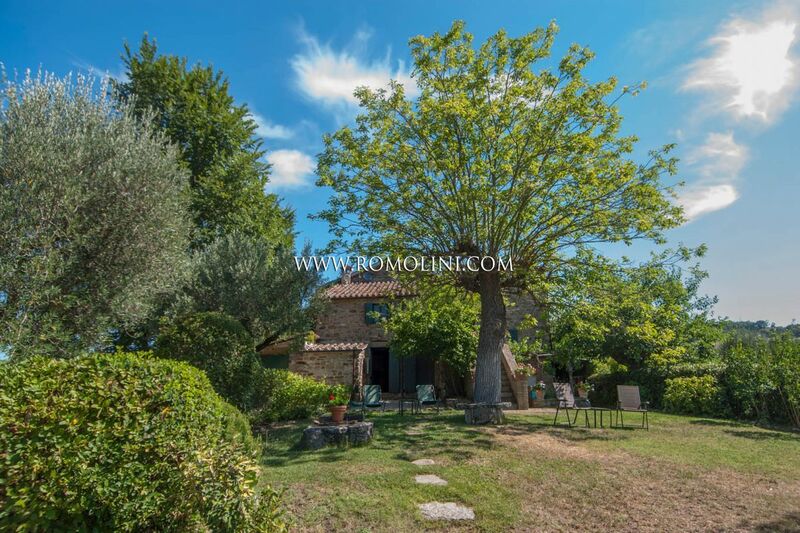 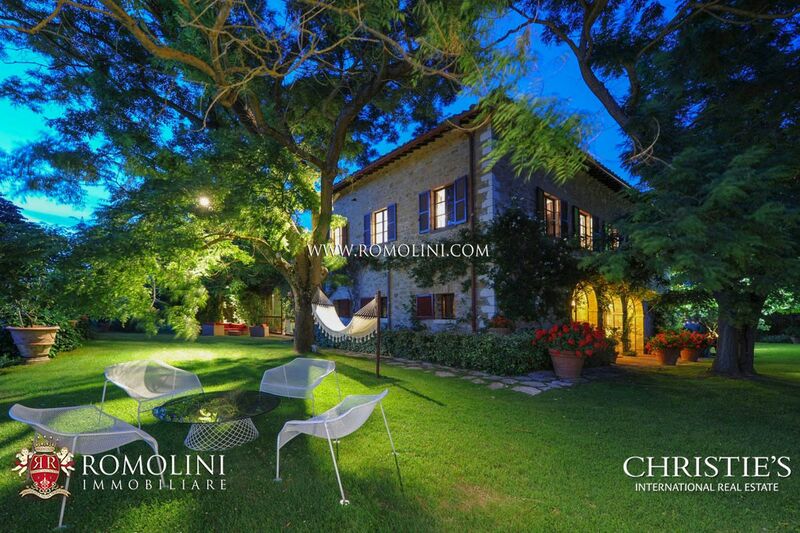 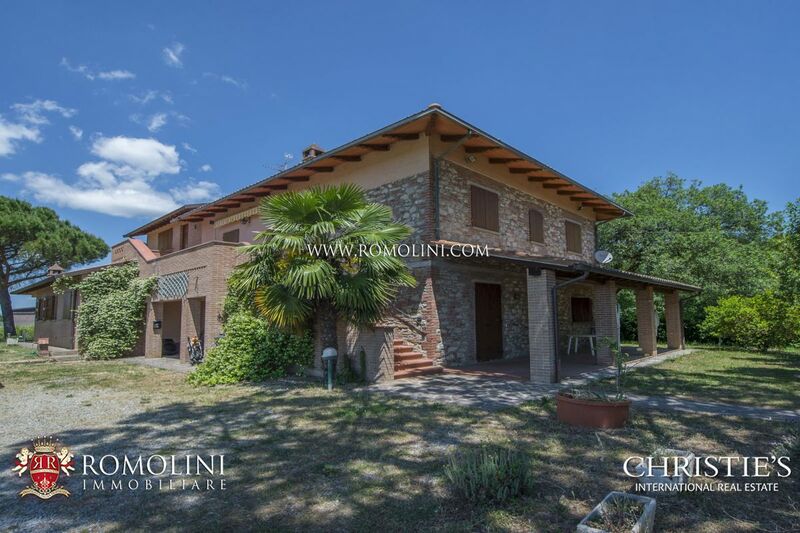 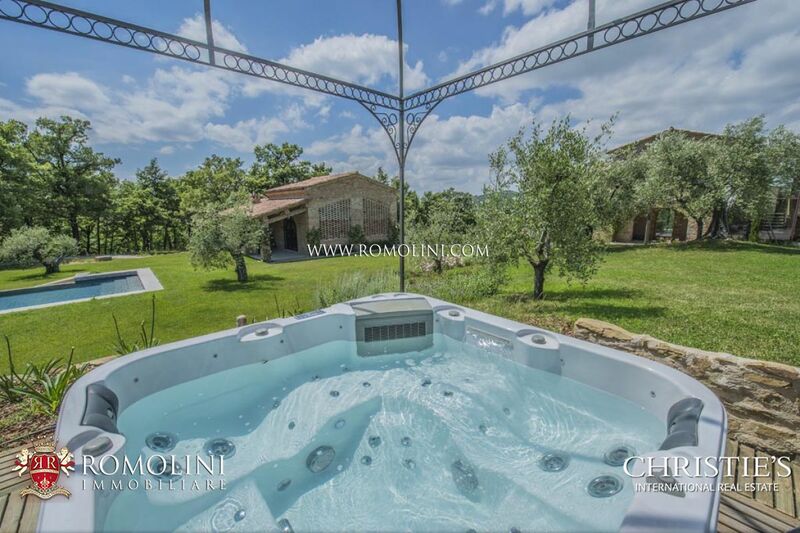 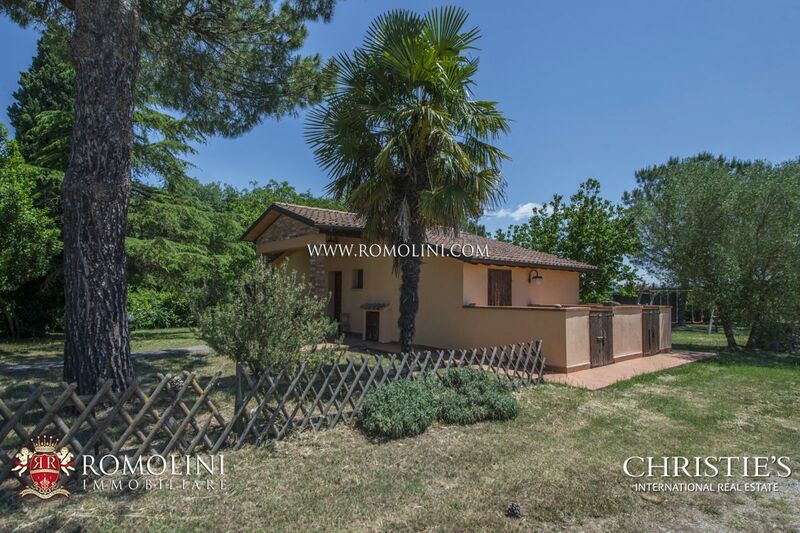 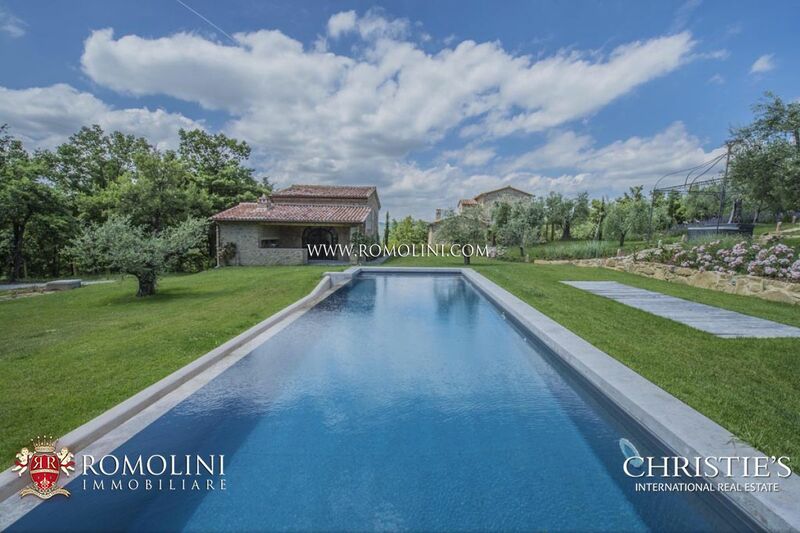 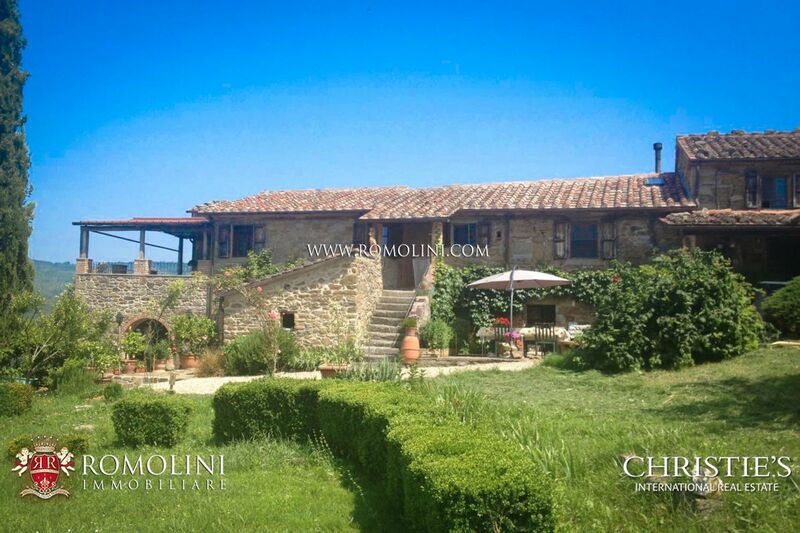 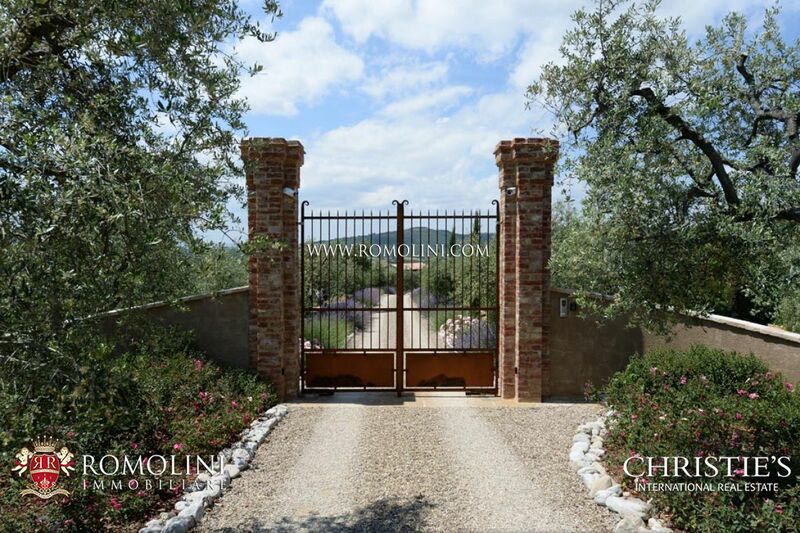 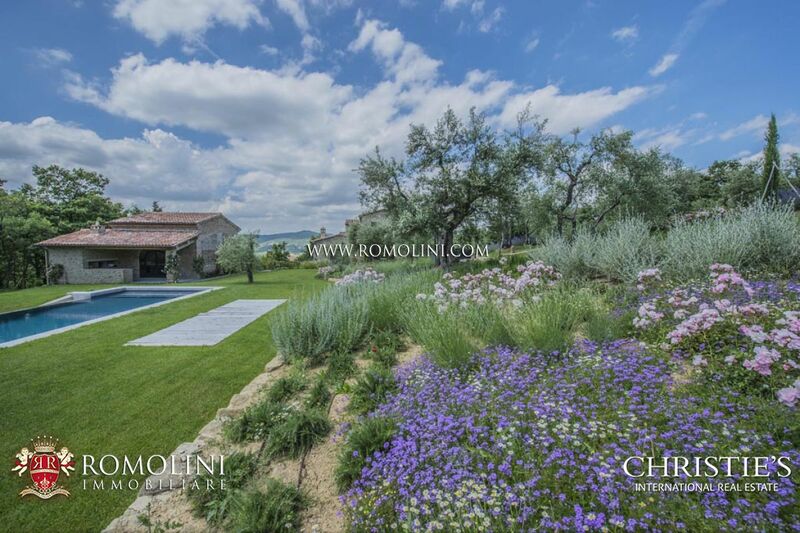 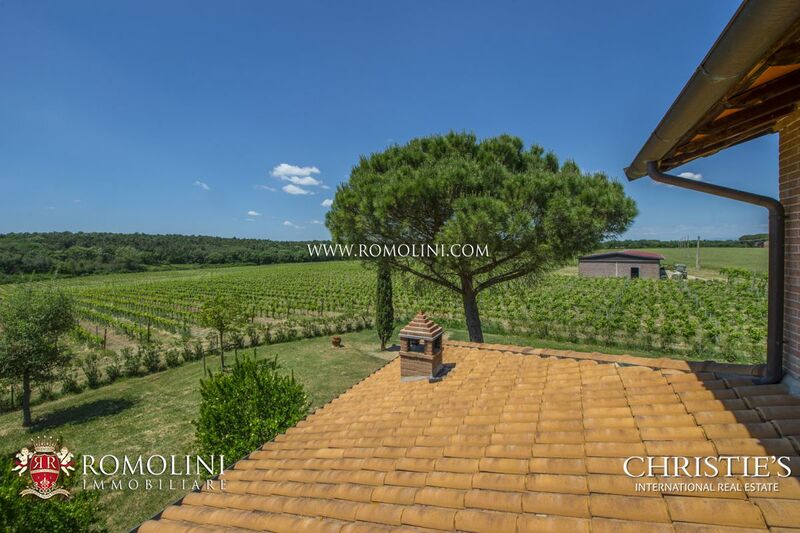 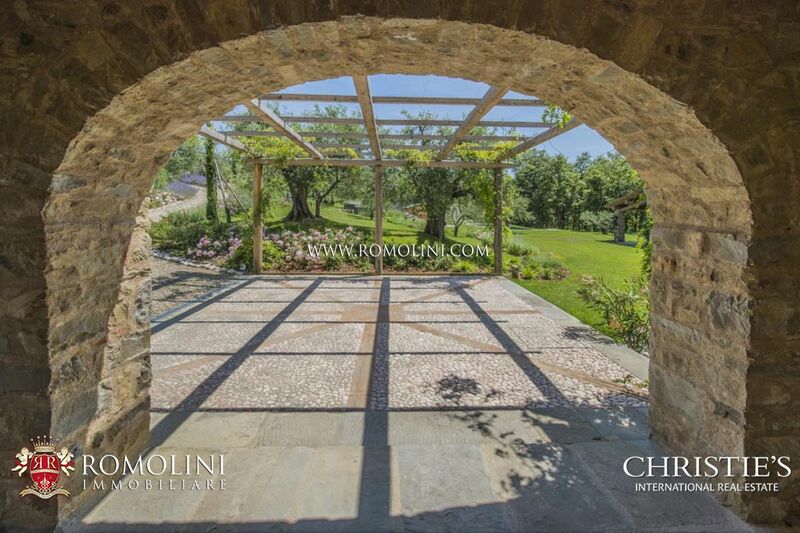 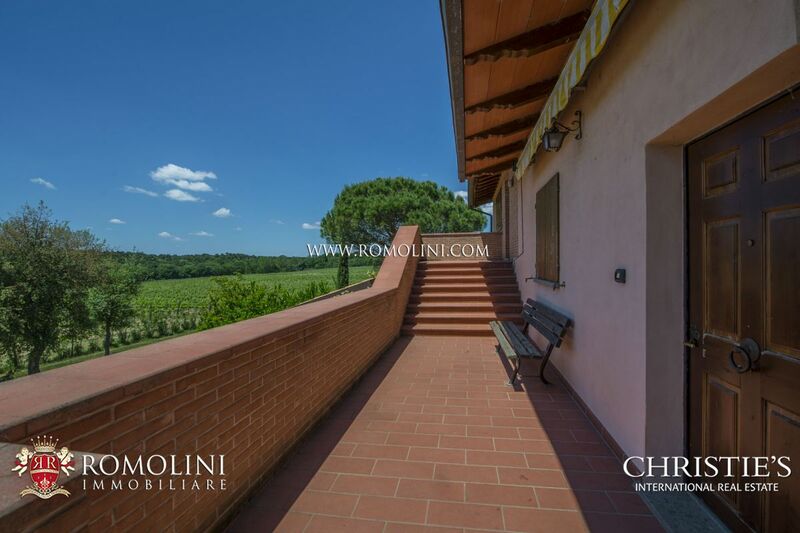 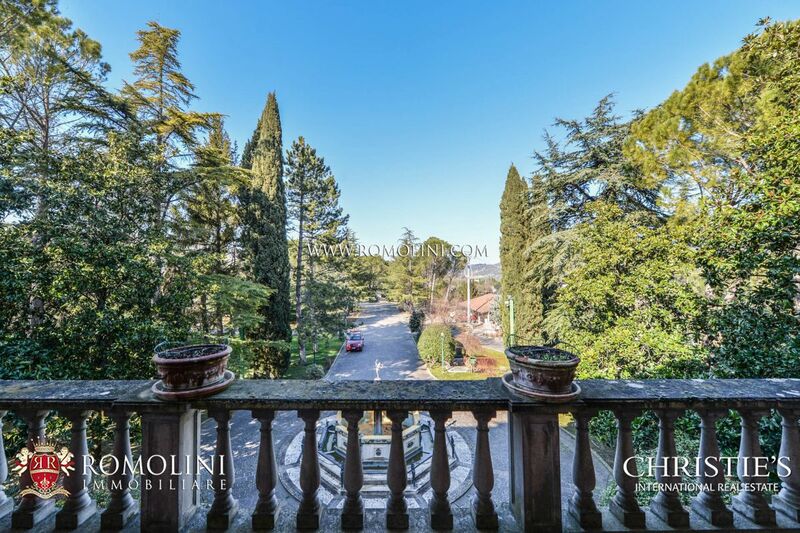 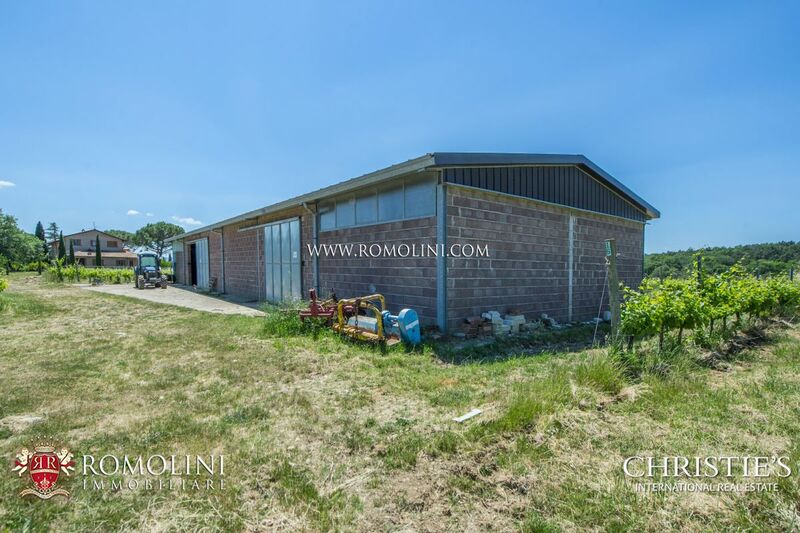 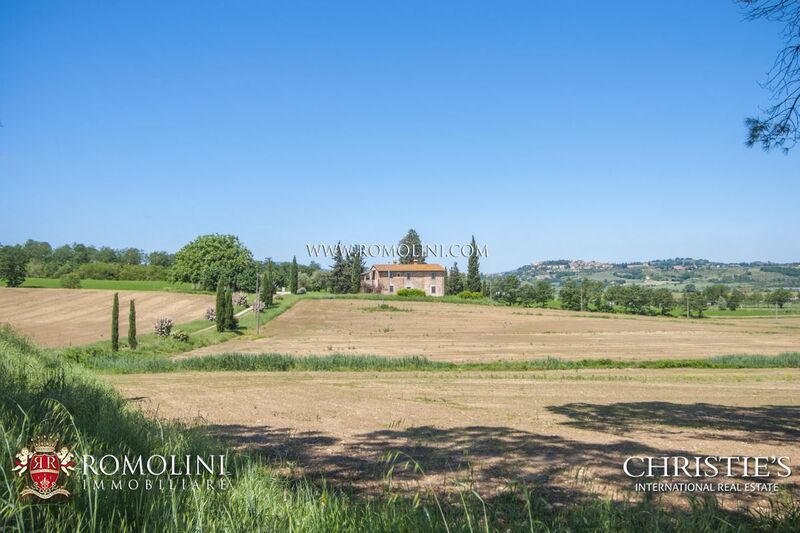 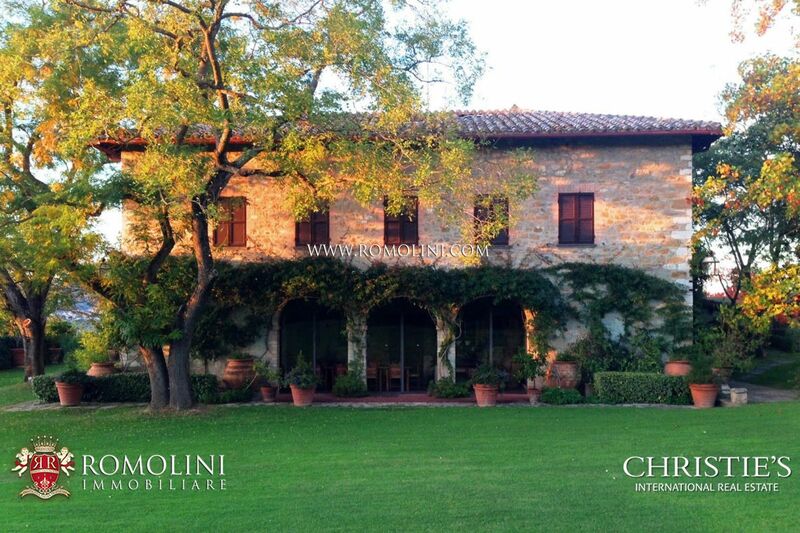 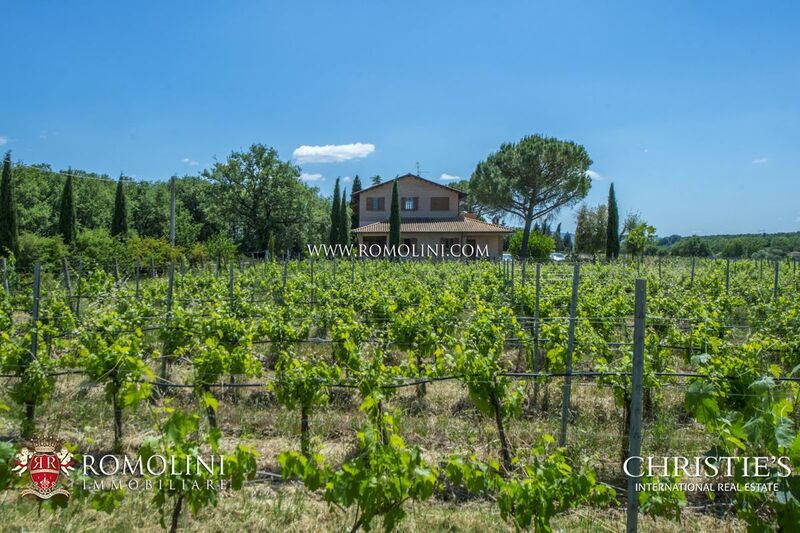 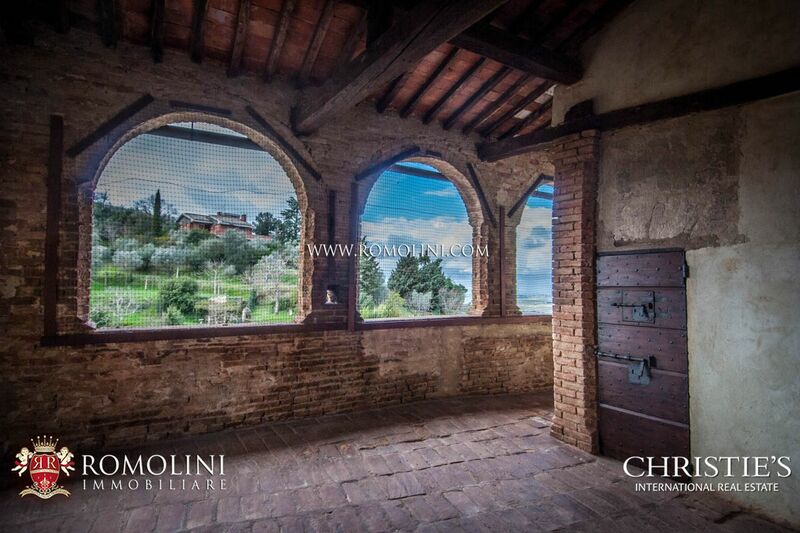 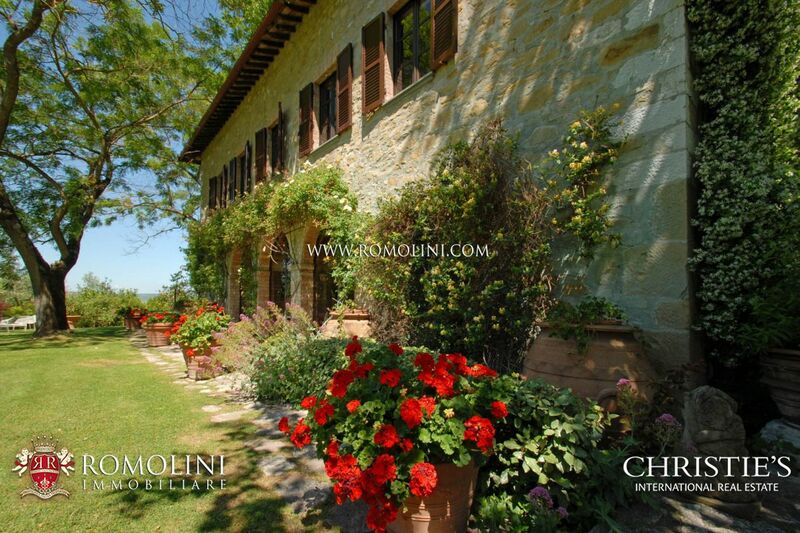 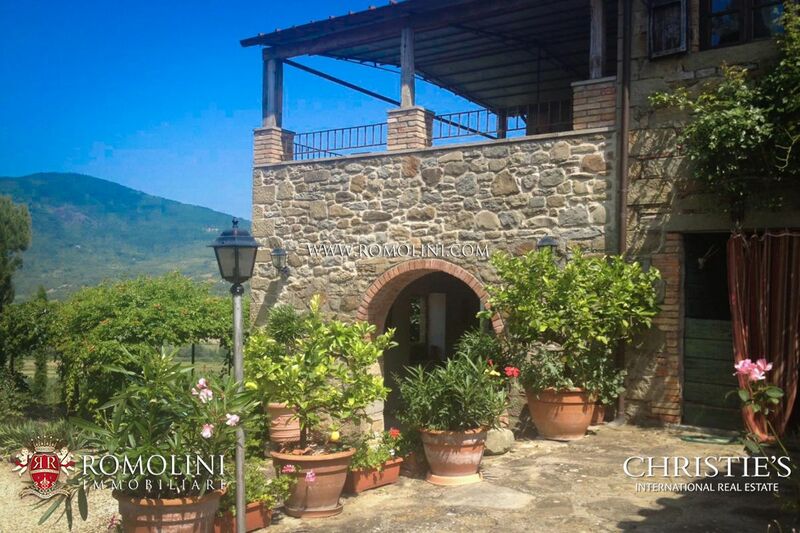 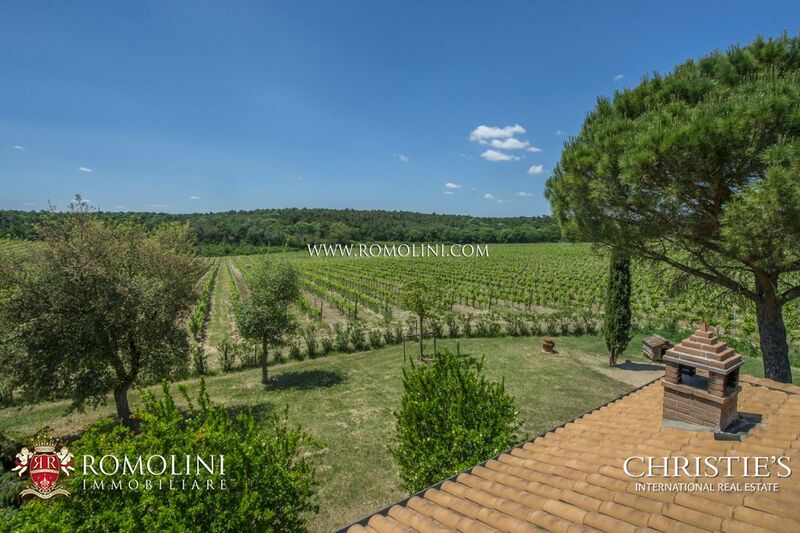 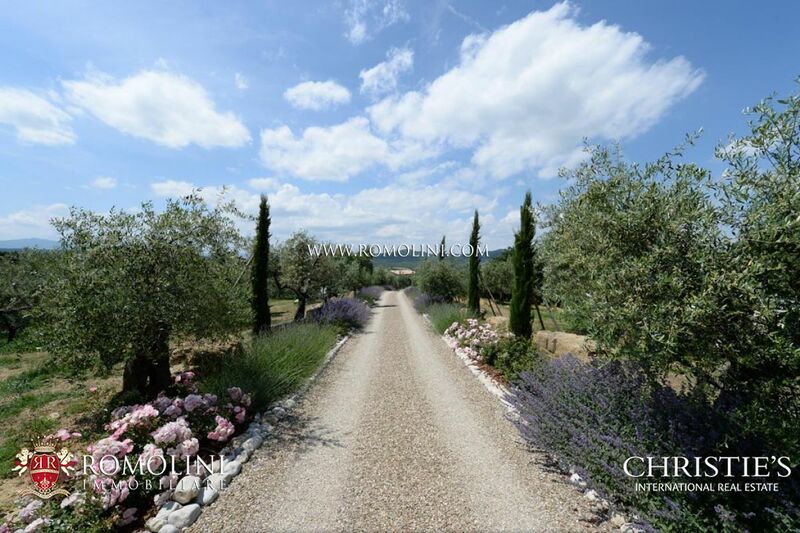 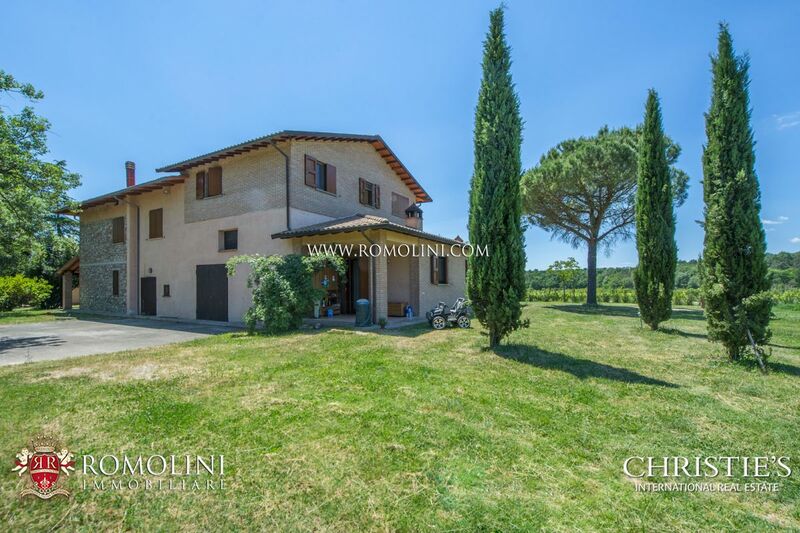 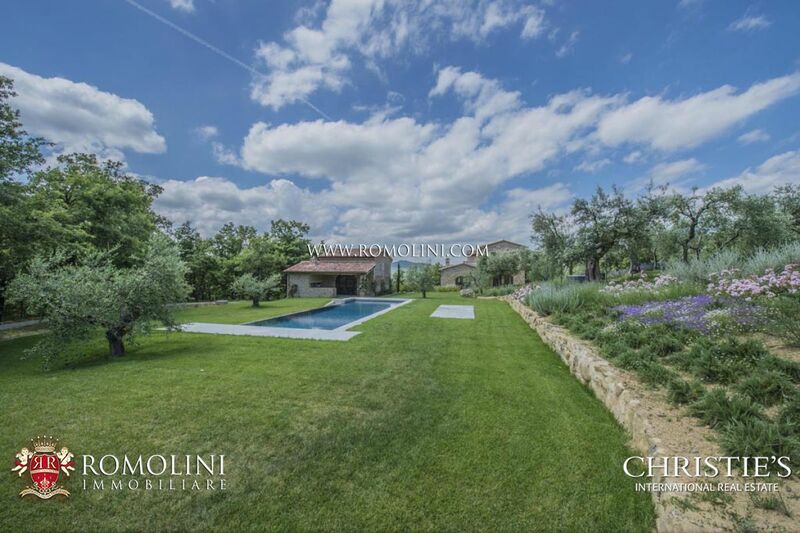 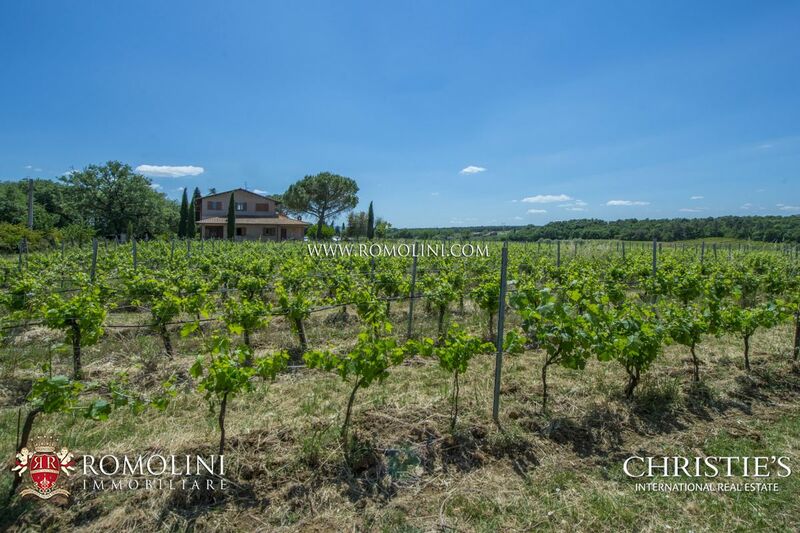 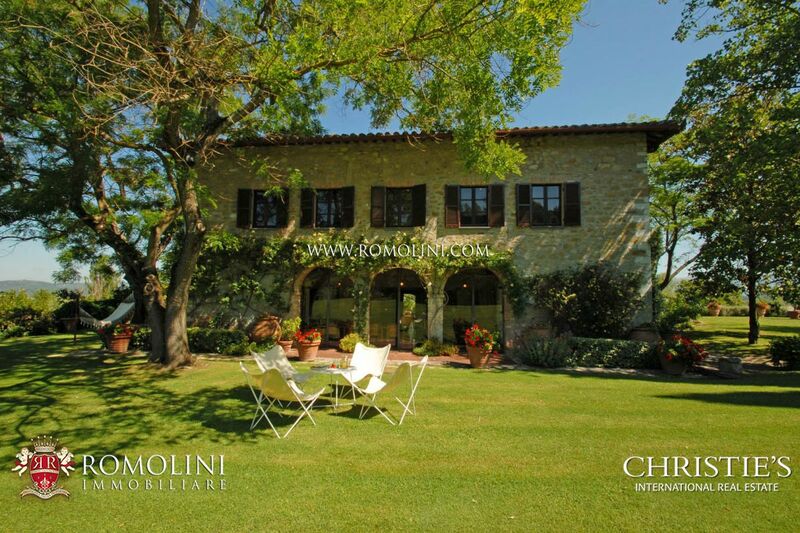 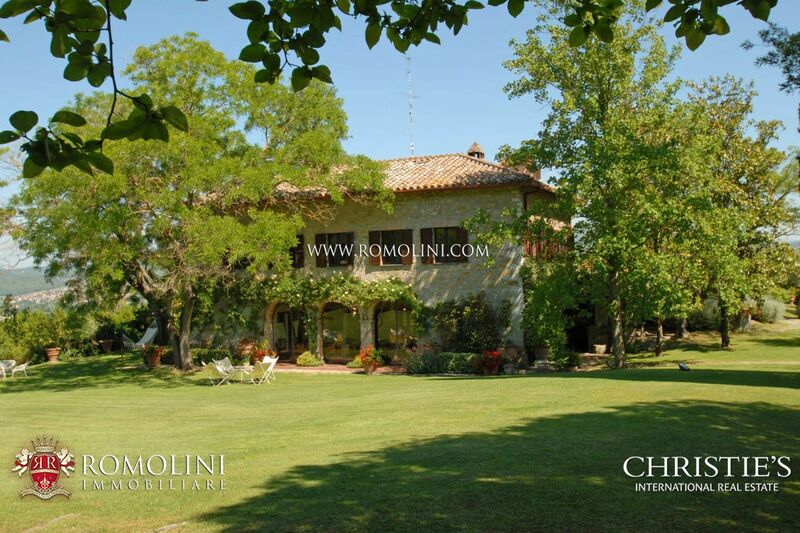 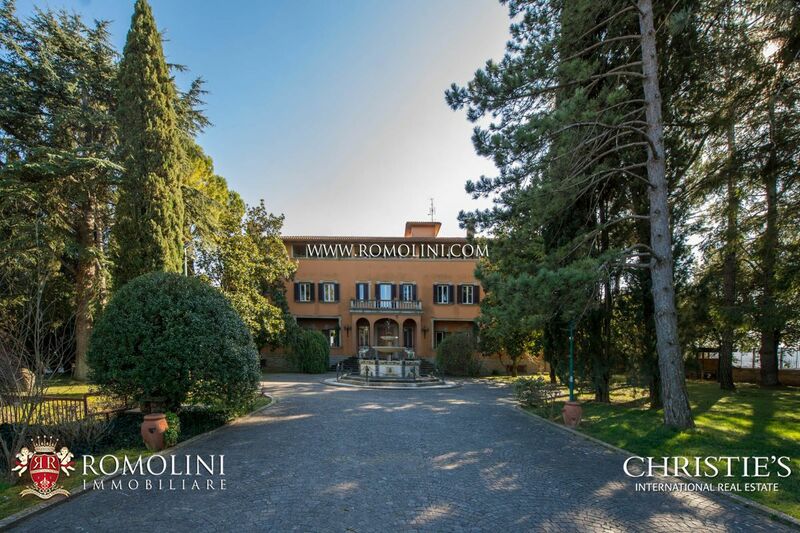 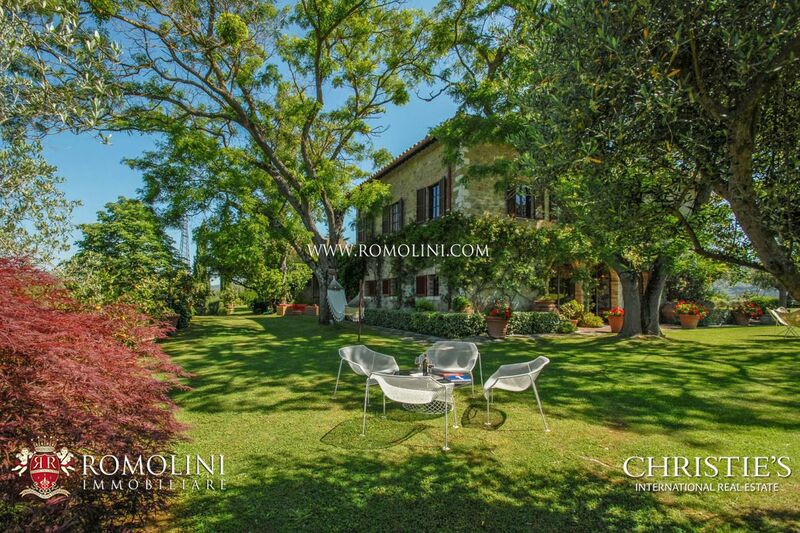 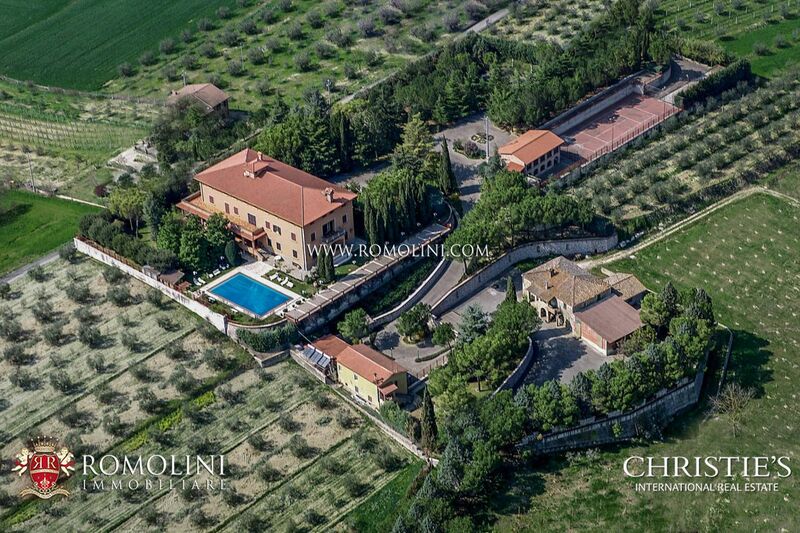 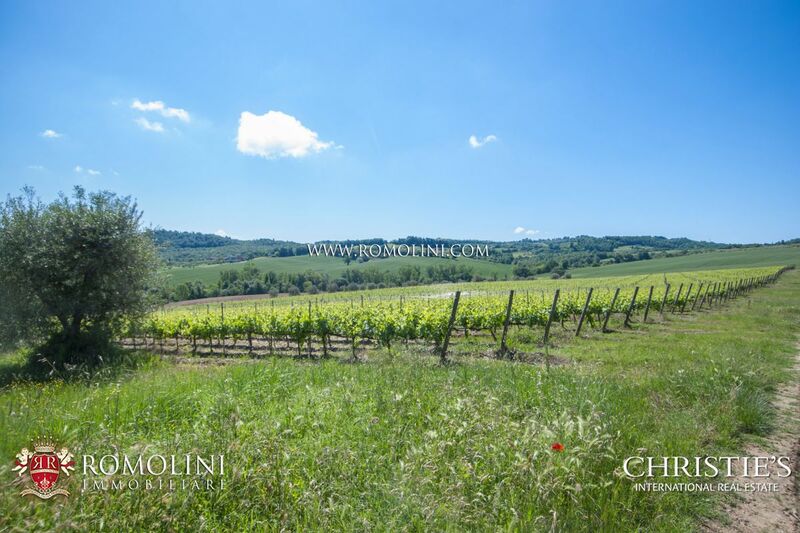 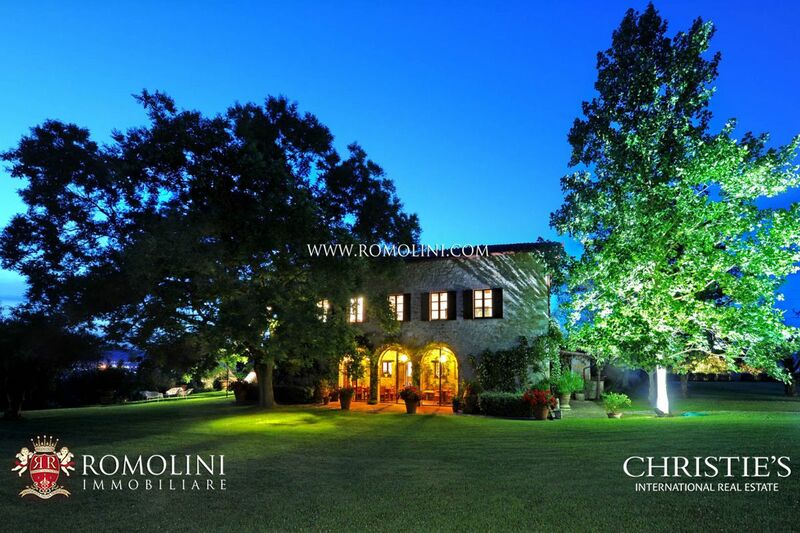 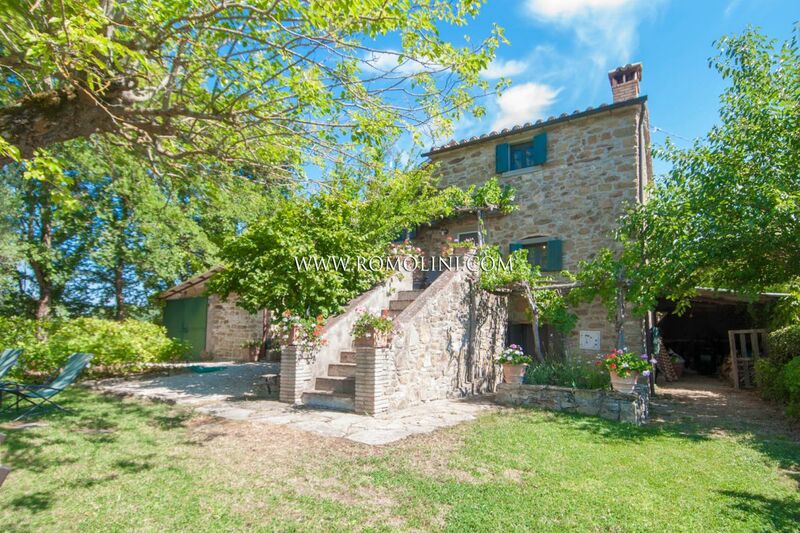 Looking for a villa or a wine estate in the Trasimeno Lake area? 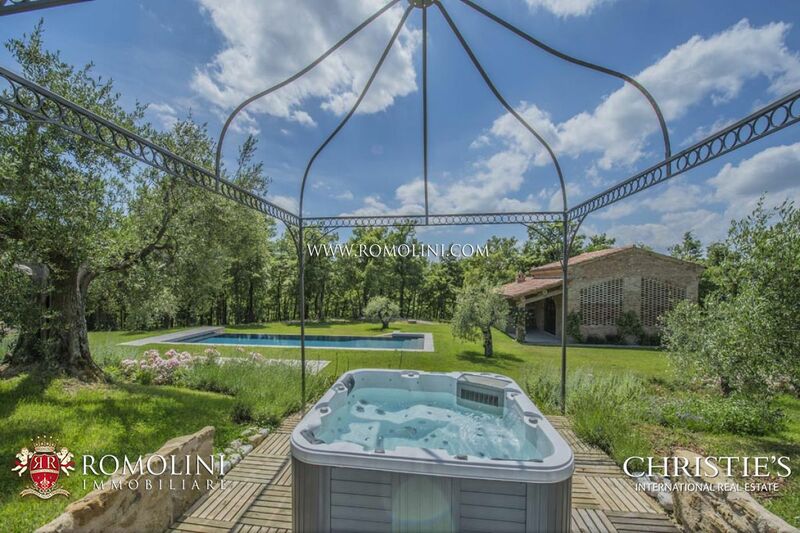 We offer an exclusive selection of villas, apartments and houses in the Trasimeno Lake area with panoramic landscape in Passignano sul Trasimeno, Castiglion del Lago, Petrignano del Lago, Pozzuolo, Tuoro sul Trasimeno, San Feliciano, Monte del Lago. 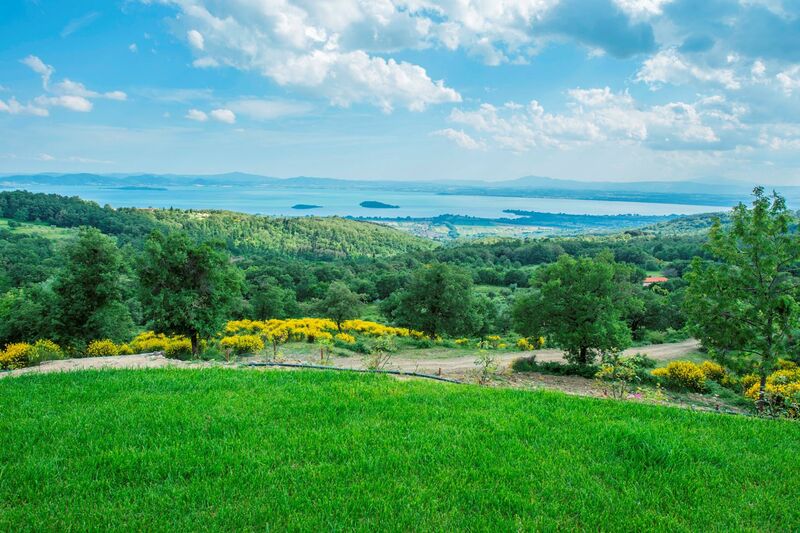 Italy's fourth-largest lake, the Trasimeno Lake is surrounded by rolling hills of Umbria and Tuscany. 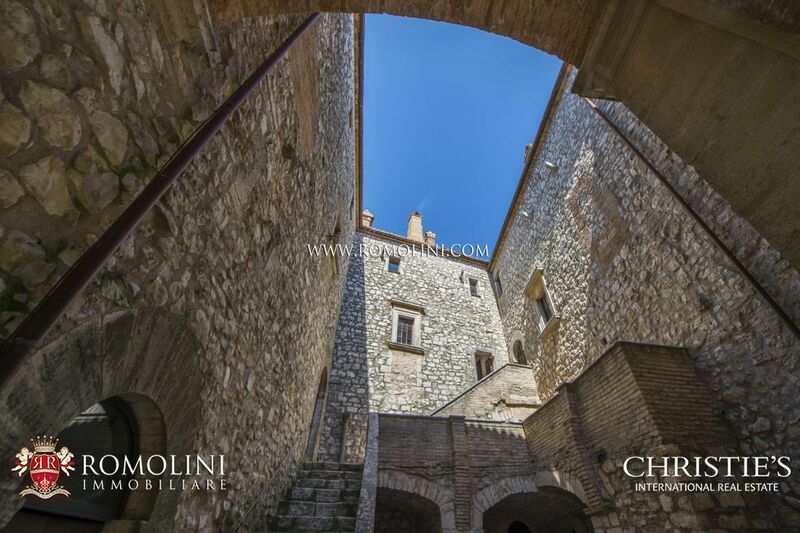 Along its shores there are medieval towns and castles, such as Passignano sul Trasimeno, Castiglione del Lago and Tuoro sul Trasimeno, and old villages as Città della Pieve and Piegaro on the hilltops around the lake. 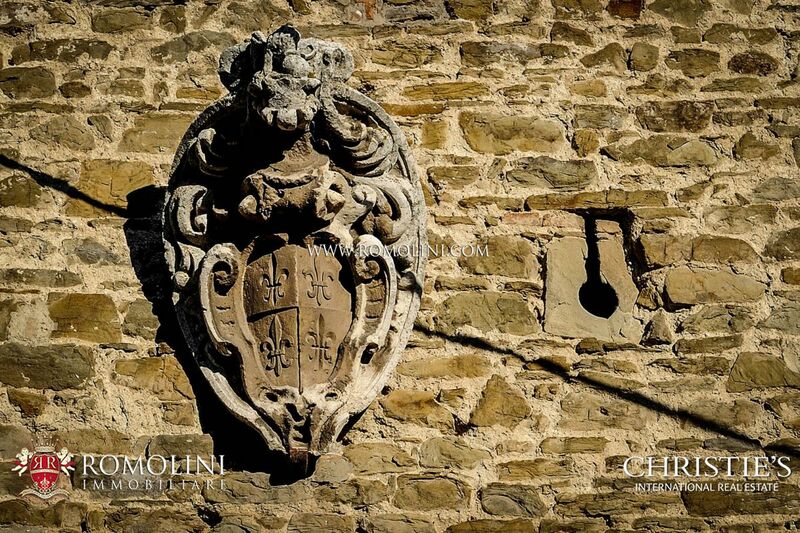 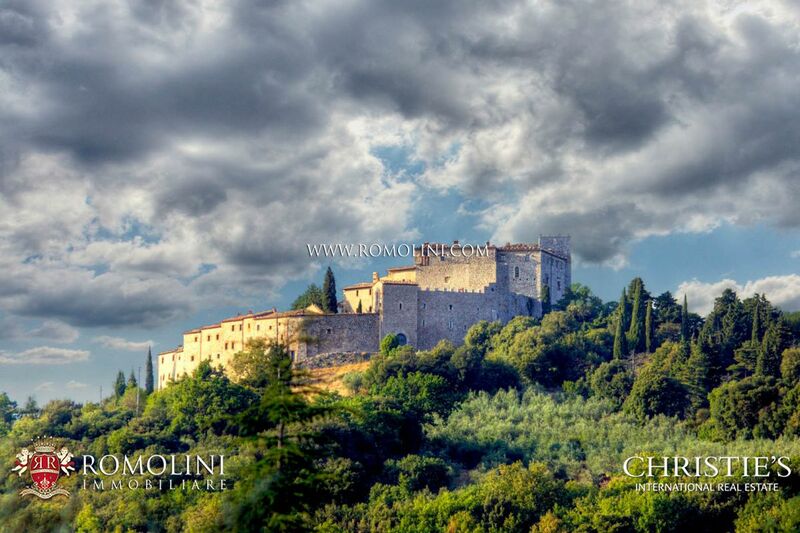 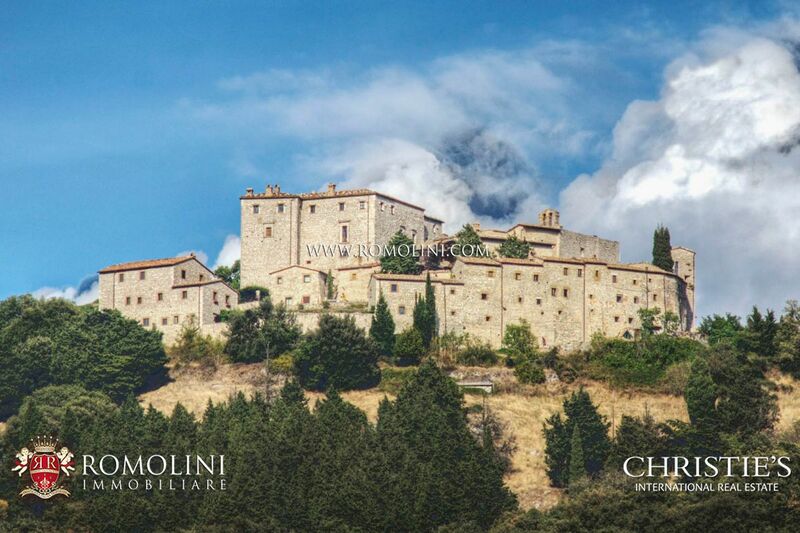 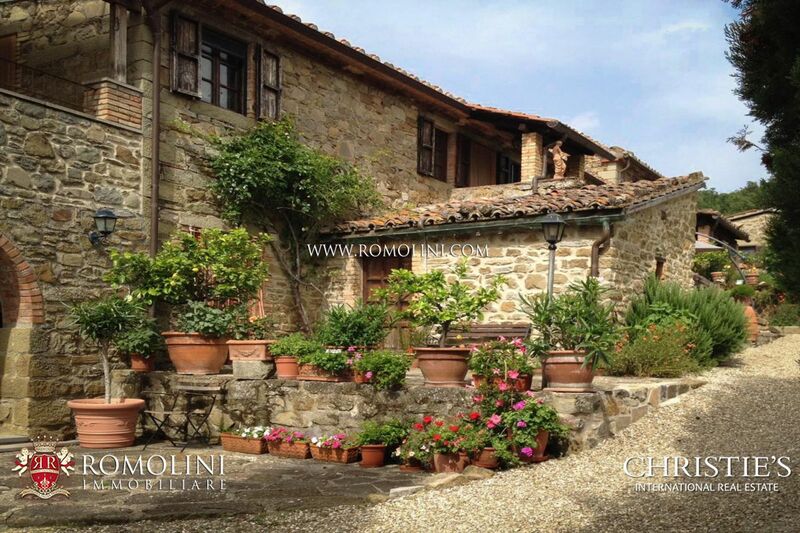 Located in Central Italy, it is not far from important sites as Perugia, Siena, Assisi, Orvieto, Florence and Rome. 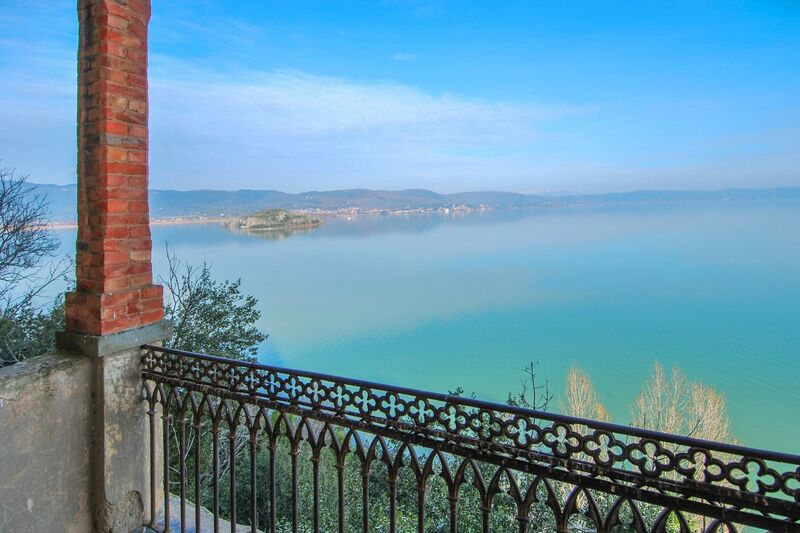 Within the lake there are three small islands, Maggiore, Minore and Polvese. 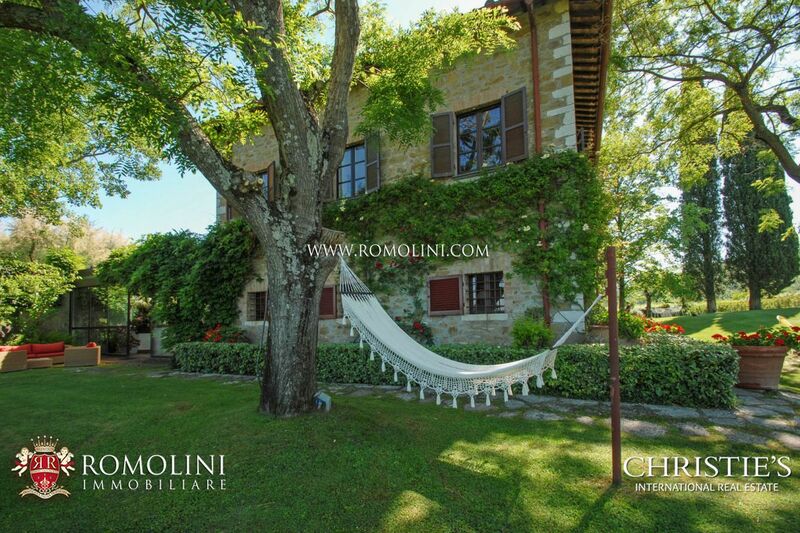 Scientific-Didactic Park, the Polvese Island is covered by holms, ash trees and centuries old olive trees, where foxes, hares, ducks and herons are lodged. 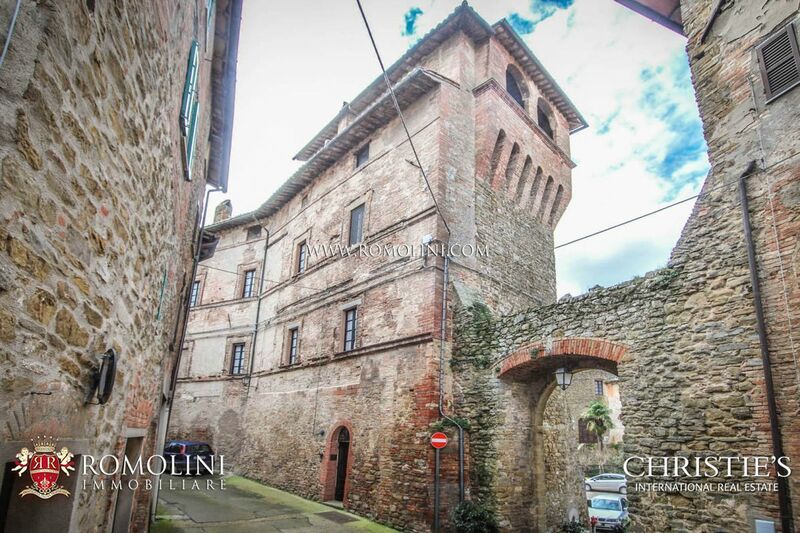 Castiglione del Lago is settled on a hilltop on the border with Tuscany and it boasts interesting sites, such as the Castello del Leone, built by the Emperor Frederick II, and the Palazzo Ducale. 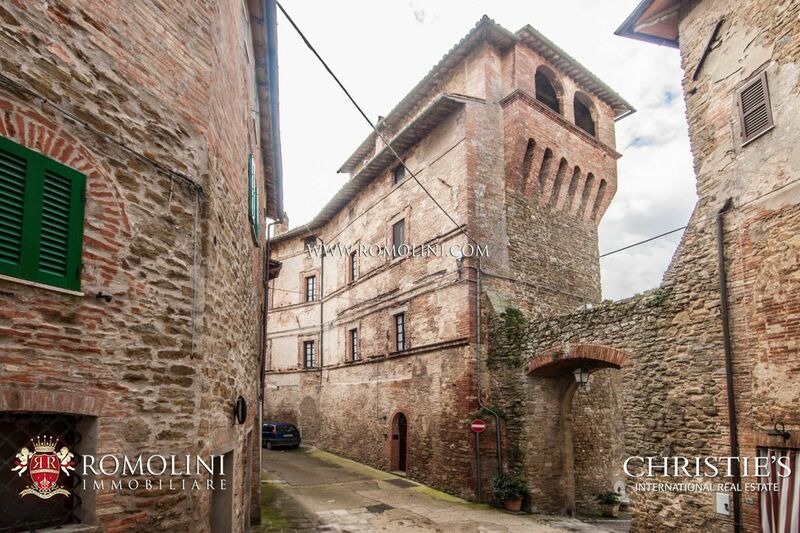 Birthplace of the famous artist known as “il Perugino”, Città della Pieve overlooks the Valdichiana and the Lake Trasimeno. 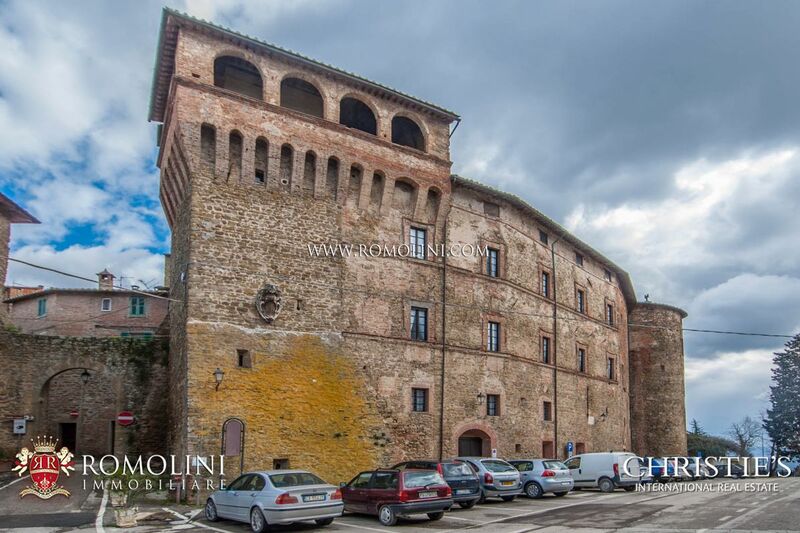 In its historical centre there are old buildings, a Longobard cathedral, a Fortress and a Romanesque Tower. 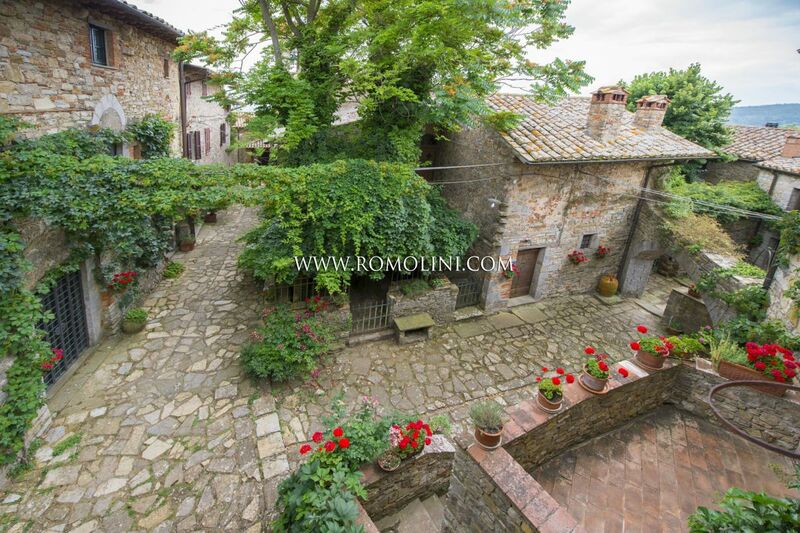 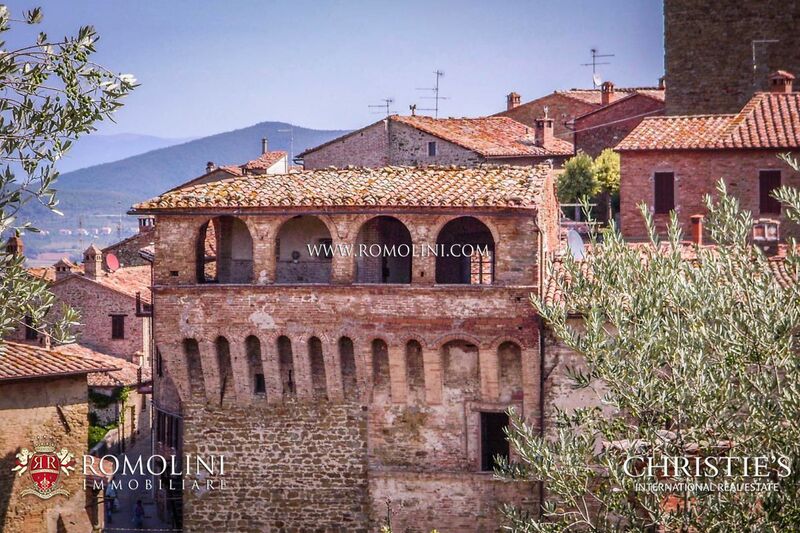 Destroyed during the Second World War, Passignano sul Trasimeno is a lovely village on the Trasimeno Lake’s shore. 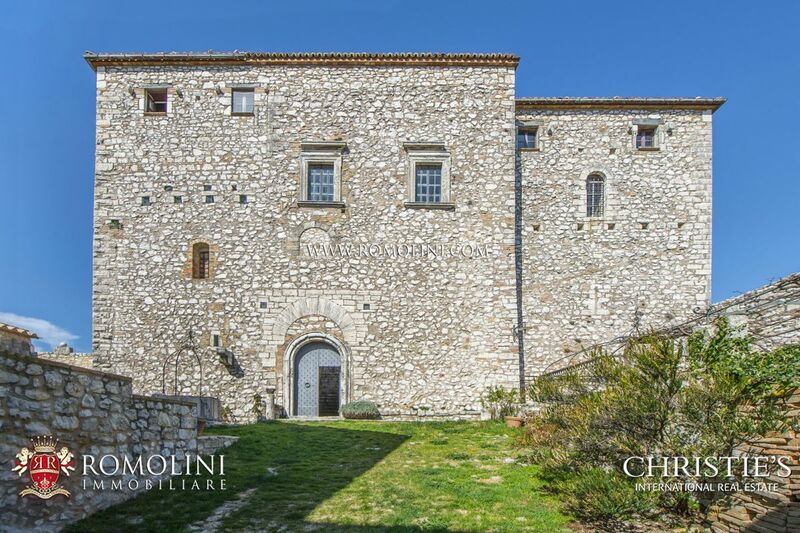 Not far from it, there is a small medieval town, Castel Rigone, where rises a gorgeous church of the Madonna dei Miracoli. 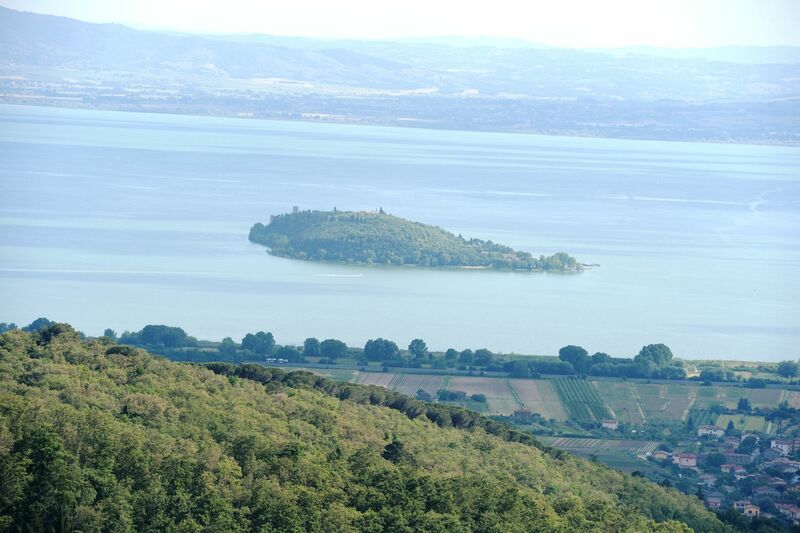 The area surrounding the Trasimeno lake was already inhabited during prehistory, as testified by numerous remains now visible in various Umbrians museums. 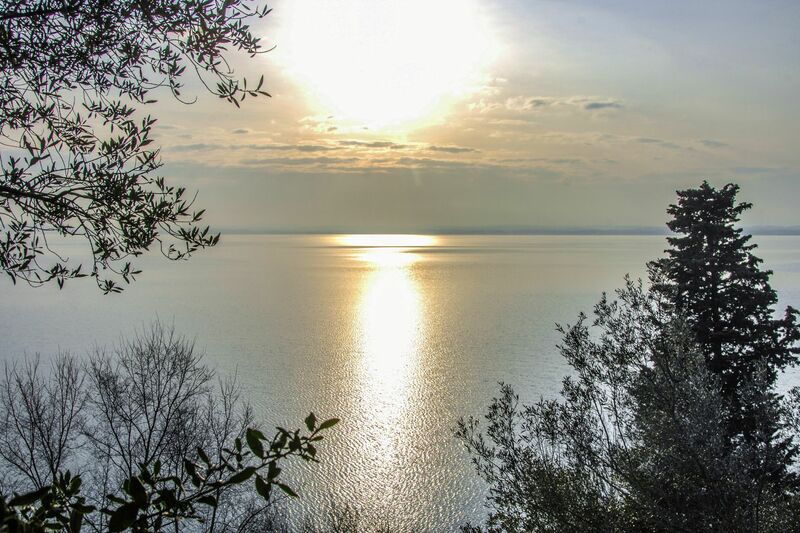 The name of the lake recalls the Greek myth of Trasimeno, dragged at the bottom of the lake by the nymph Agilla he loved so much. 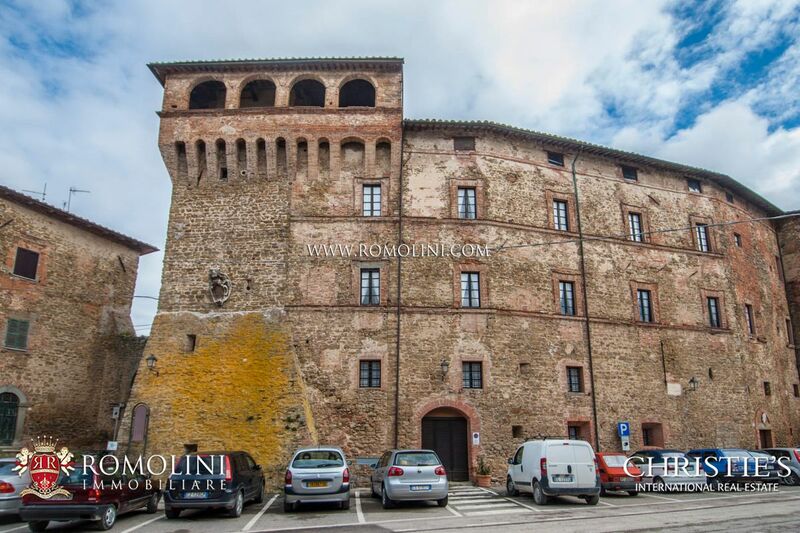 The first important event related to the Trasimeno was the battle in 217 b.C. 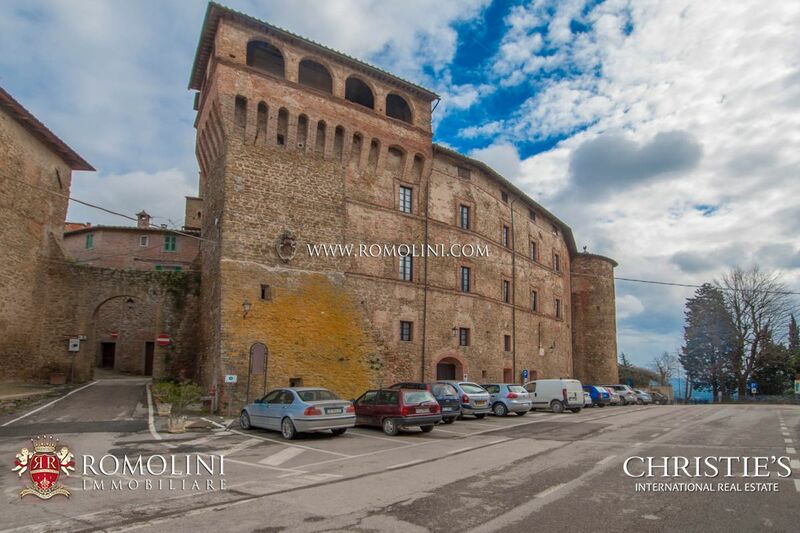 between Carthaginians led by Hannibal and the Romans led by the consul Caius Flaminius. 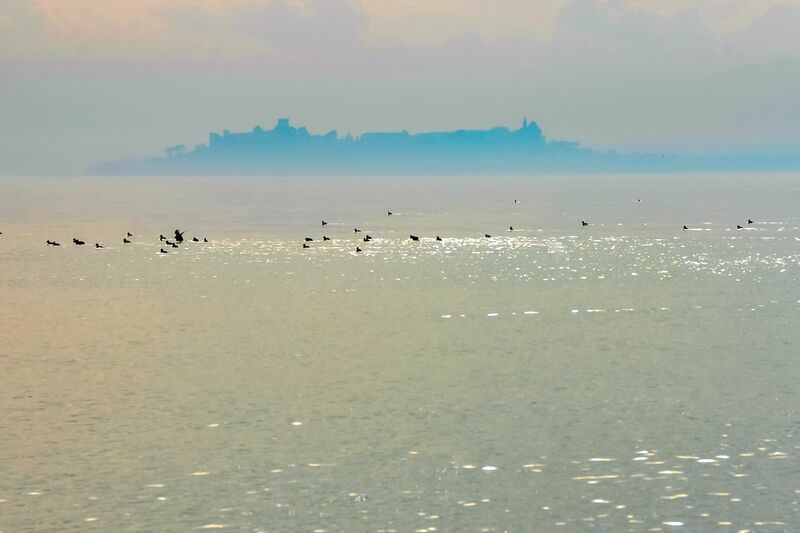 After the battle (won by the Carthaginians) the lake remained untouched for centuries: Romans approached the lake only to open a new emissary to prevent (it didn’t work as much as they wished) floods while during Middle Ages all the armies kept their distance from the unhealthy coasts of the lake. 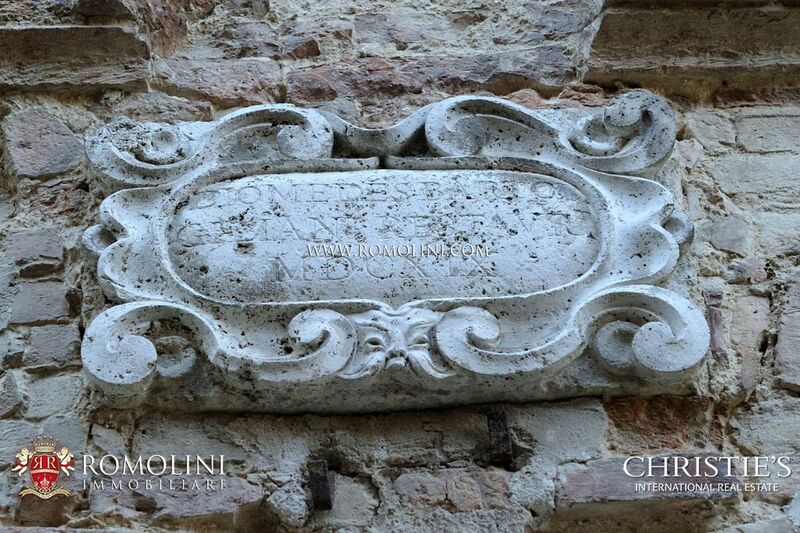 Only small communities of farmers and fishermen kept living on the shores and the islands of the basin. 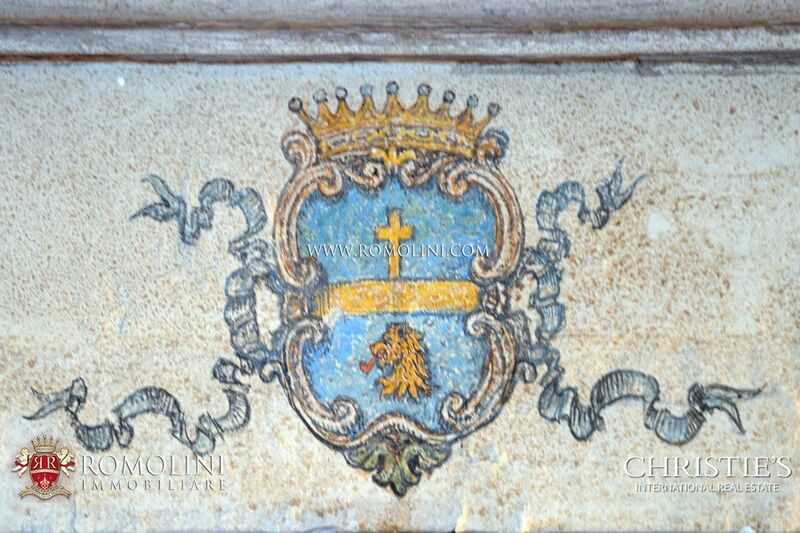 In 1422 Braccio da Montone ordered a second emissary to be dug, but it was still not enough to solve the flood problems. 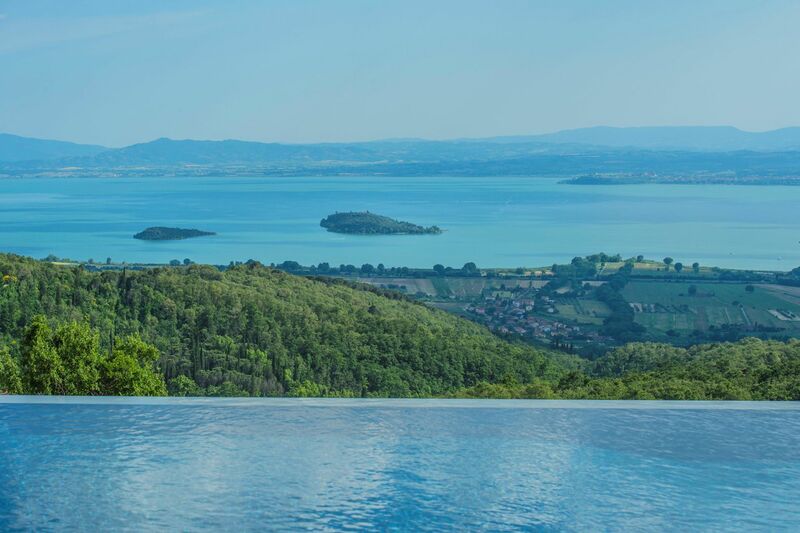 Leonardo da Vinci designed an ingenious system of sluices and channels which would use Arno, Tiber and Lago di Chiusi to regulate the level of the Trasimeno Lake, but the project was never approved. 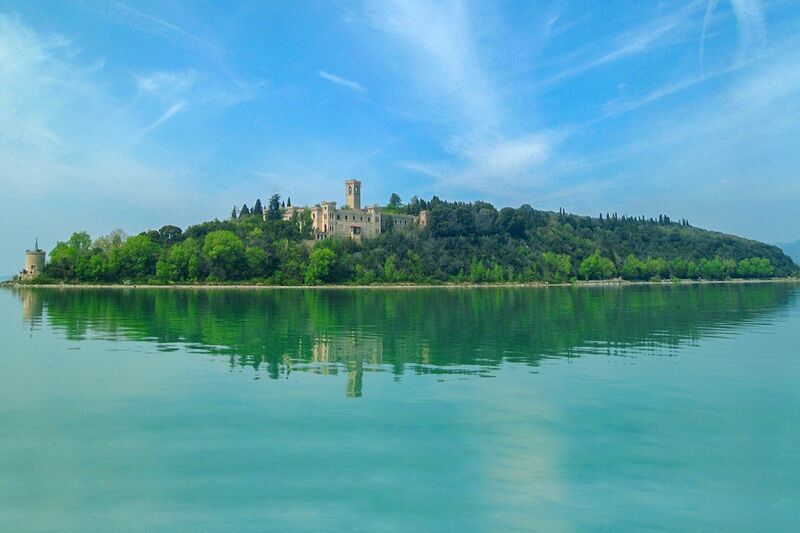 During the 16th center, the pope Sixtus V had the only two tributaries of the lake rerouted into the Lago di Chiusi risking the complete disappearance of the lake for the lack of water. 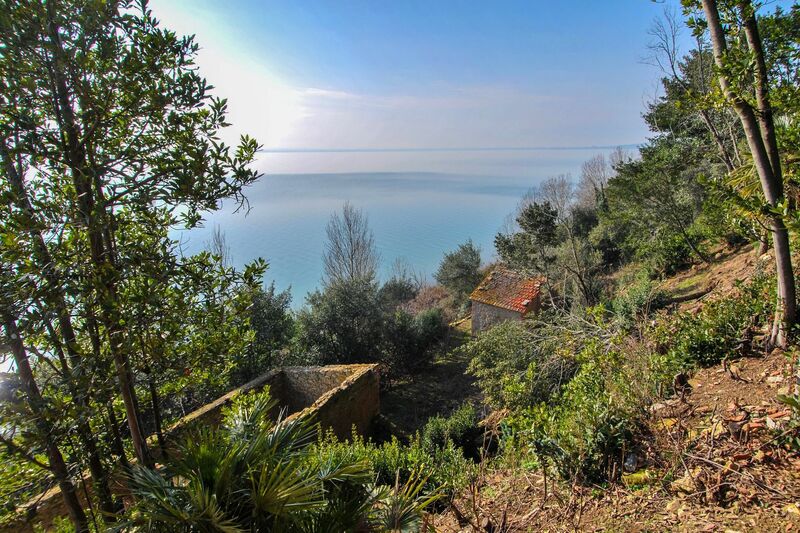 Between 1896 and 1898 a new emissary was dug, further increasing the risk of disappearance but finally resolving the problem of unhealthy air and malaria. 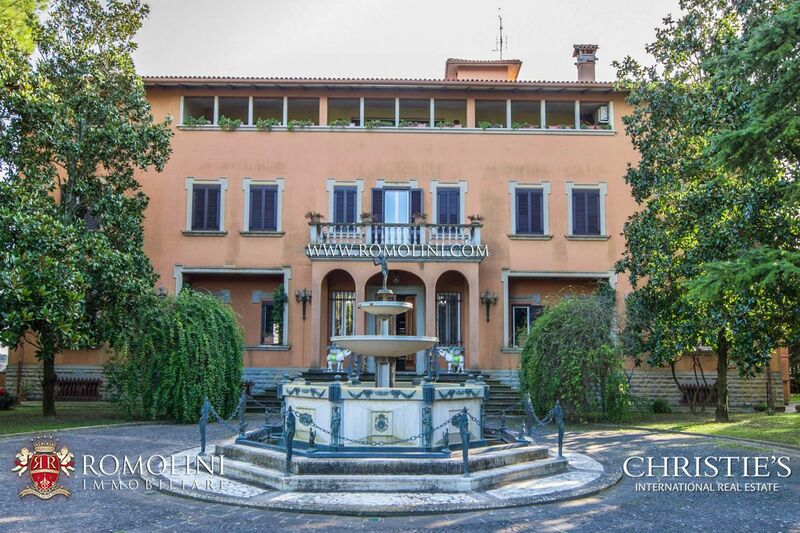 In 1952 the tributaries (Rio Maggiore and Tresa) rerouted by Sixtus V were brought back into their original course and starting in 1958 the level of the lake rose again, coming back to its natural level and warding off the risk of disappearance. 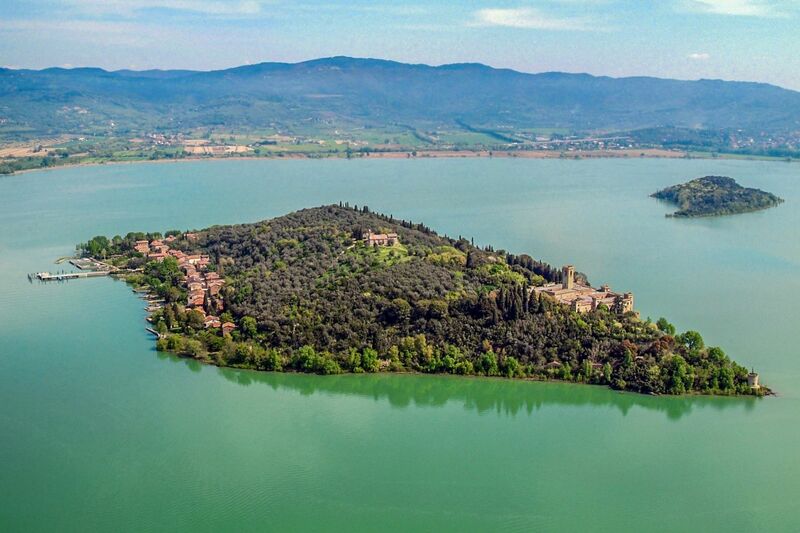 As of today, in the vicinity of the lake one can visit the towns of Passignano sul Trasimeno, Tuoro sul Trasimeno, Monte del Lago and San Feliciano, together with several castles built as a protection in the past centuries. 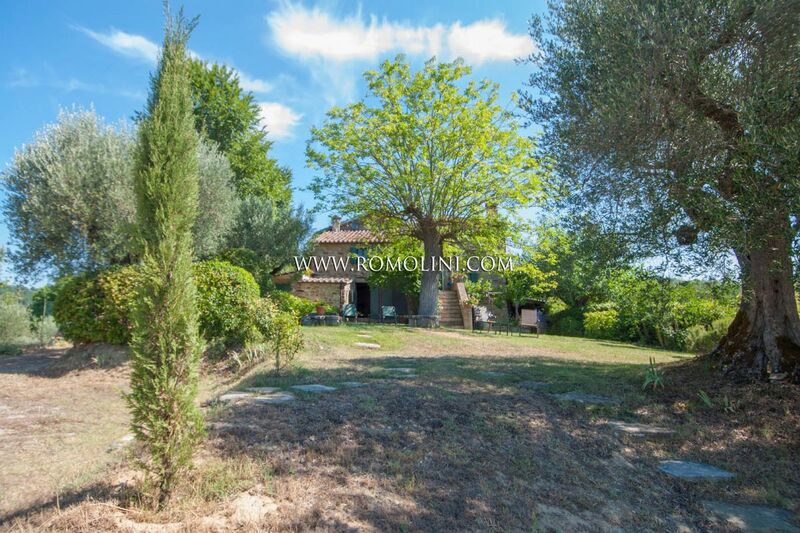 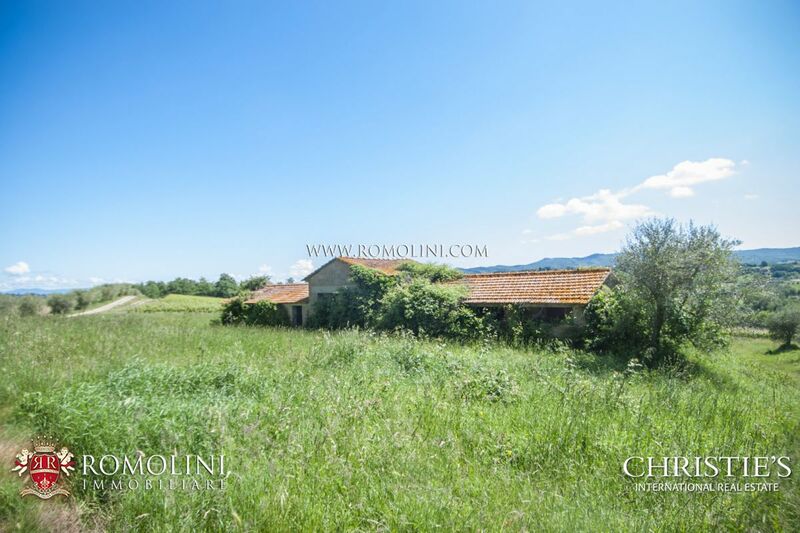 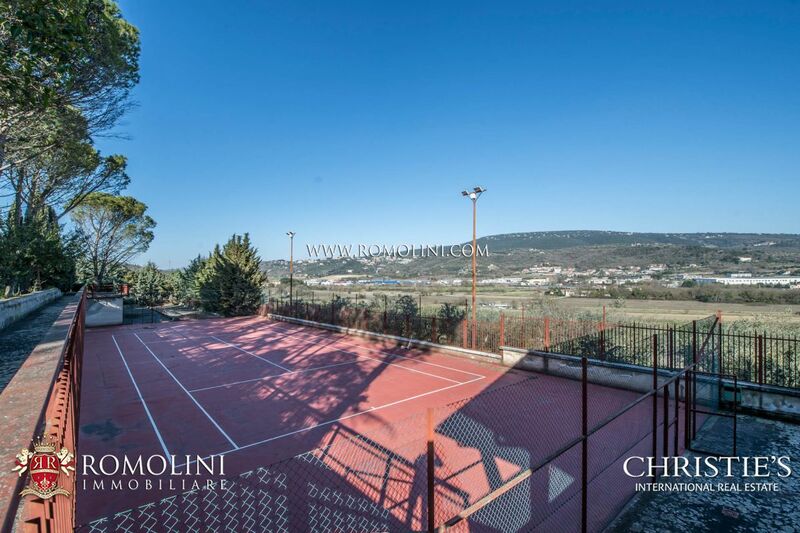 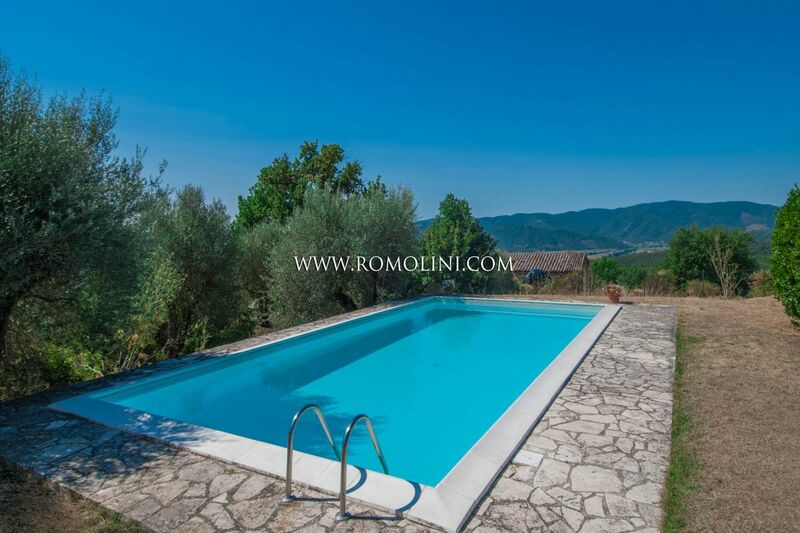 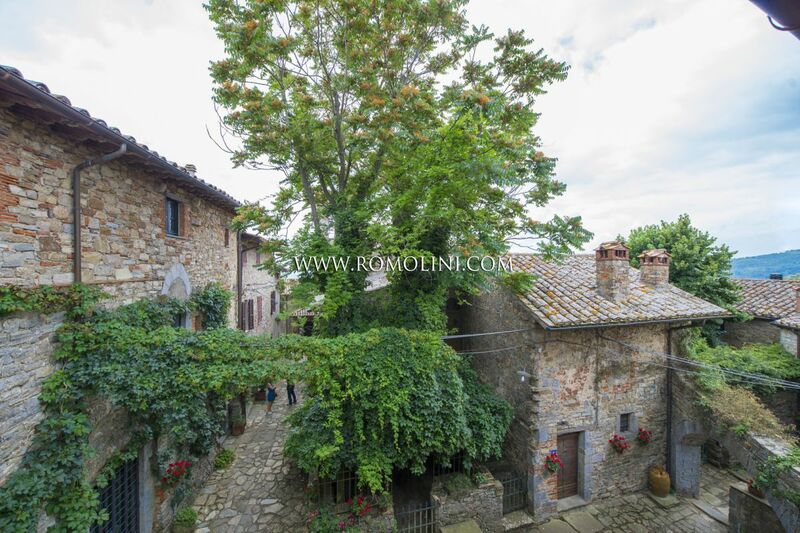 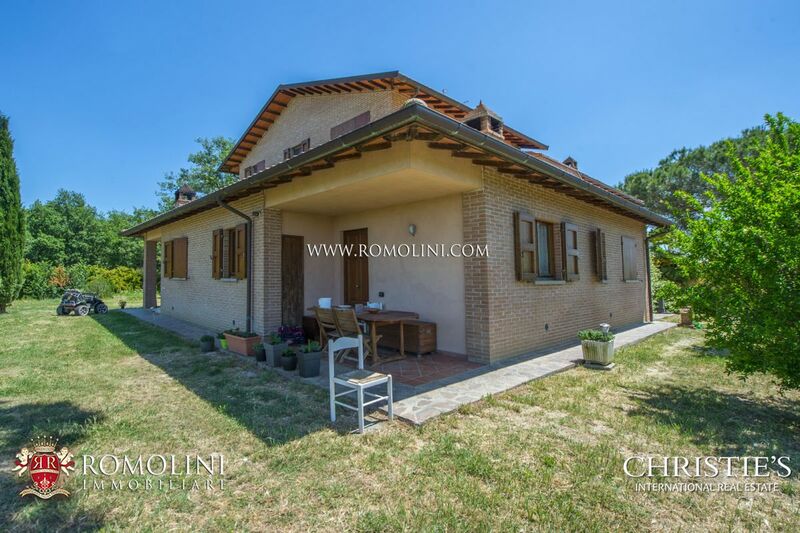 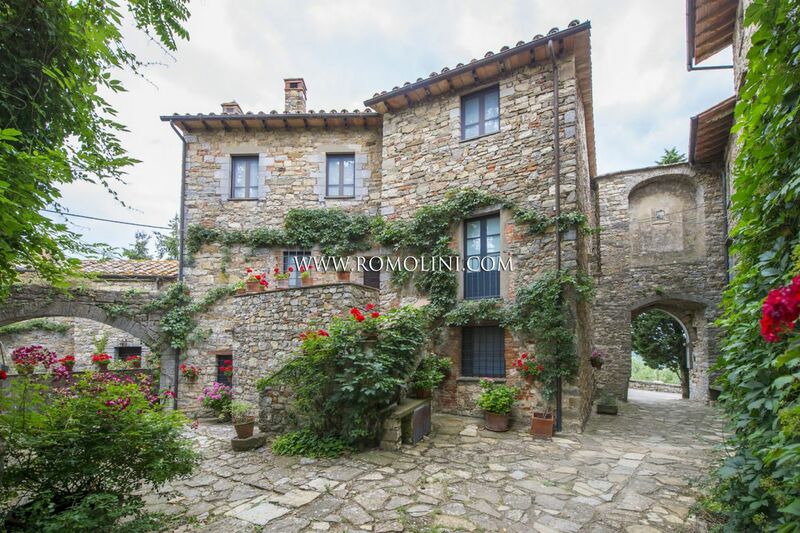 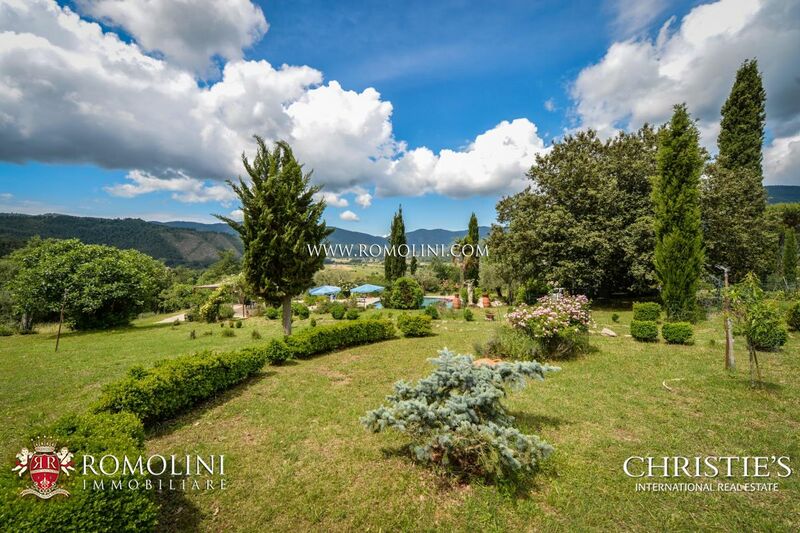 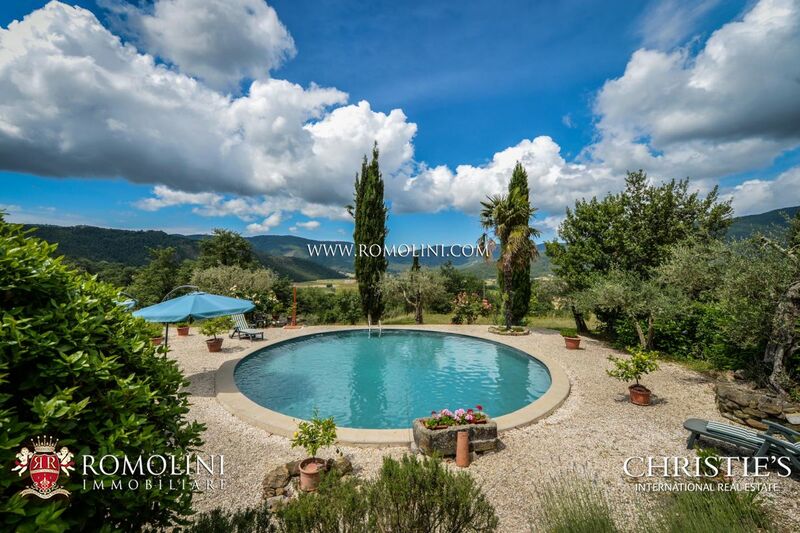 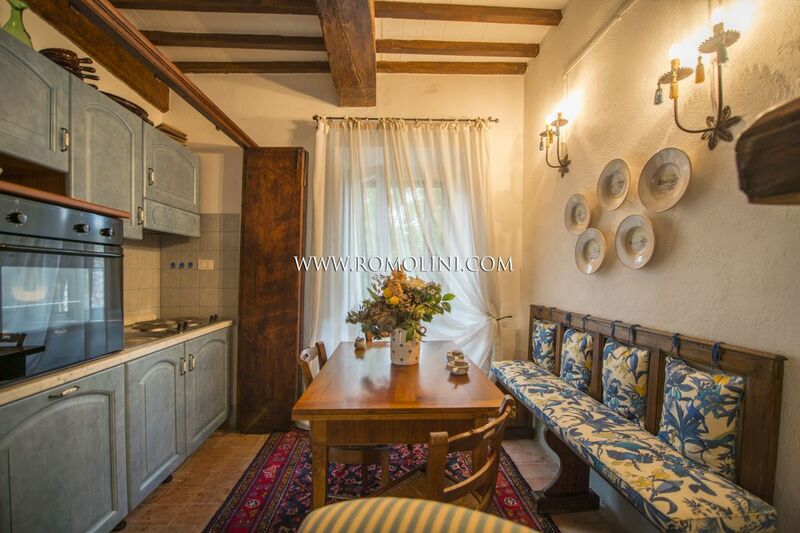 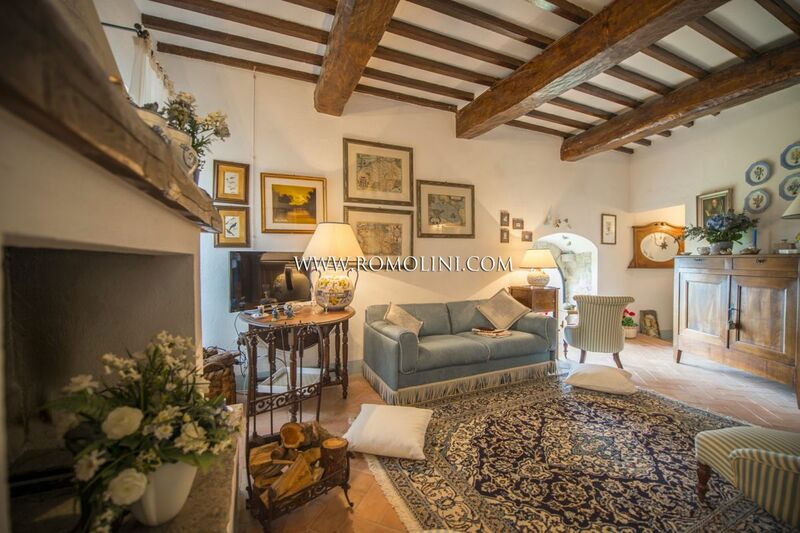 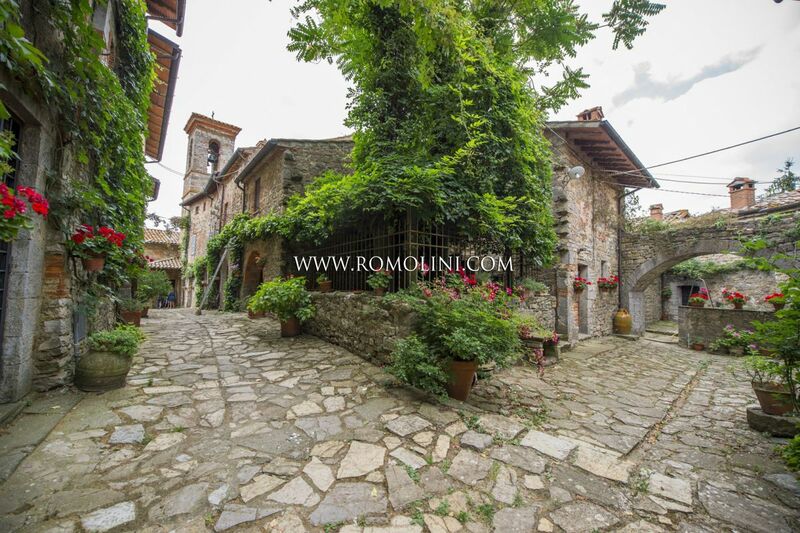 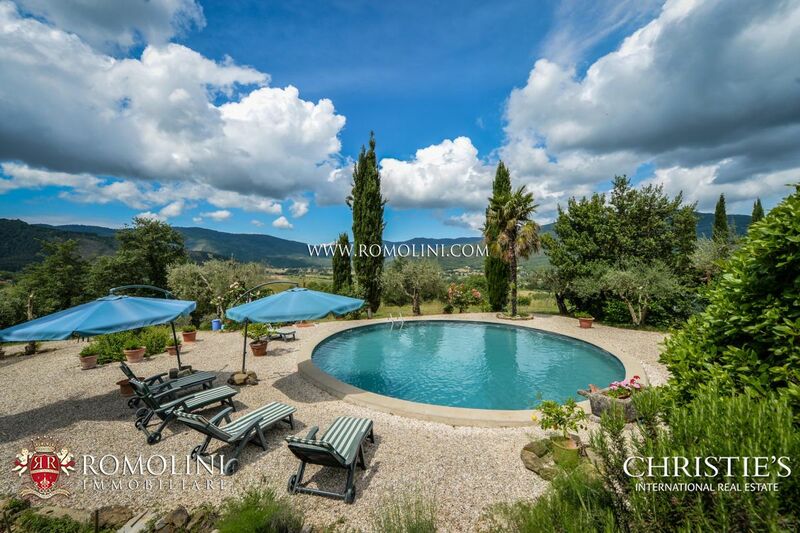 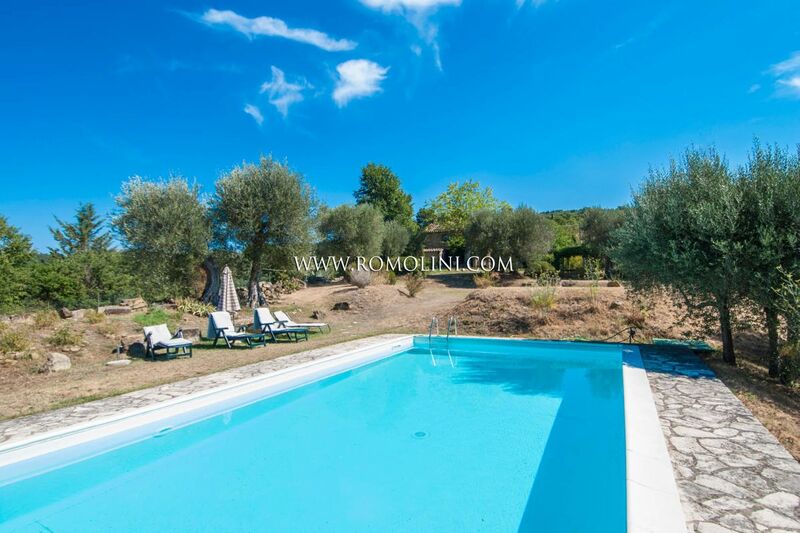 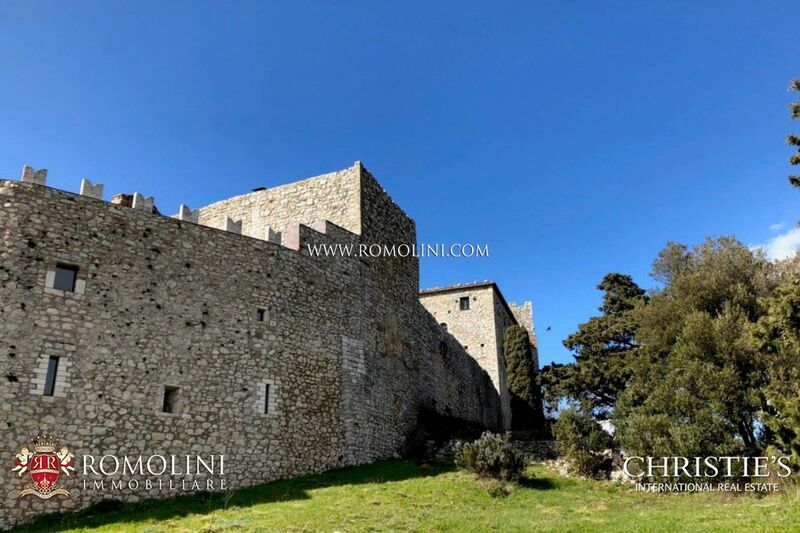 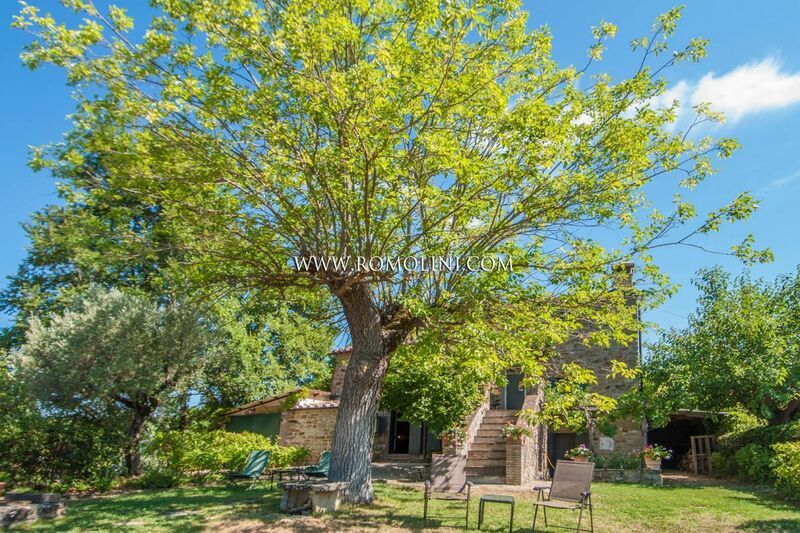 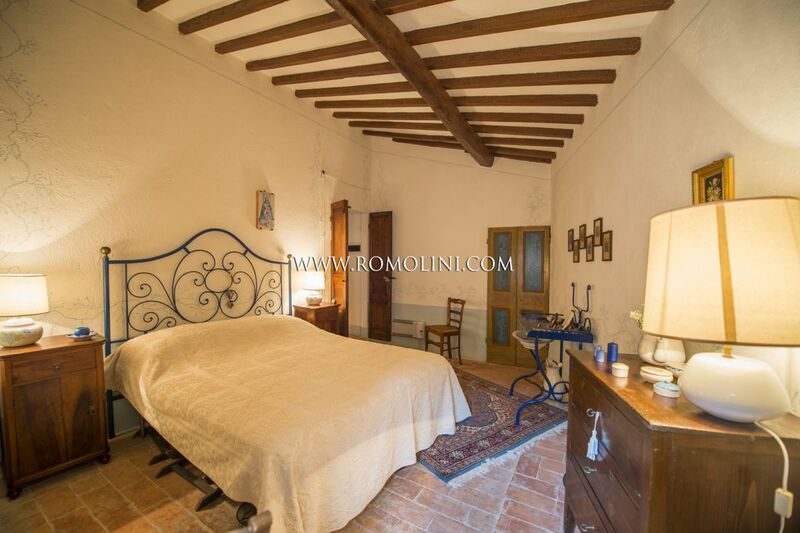 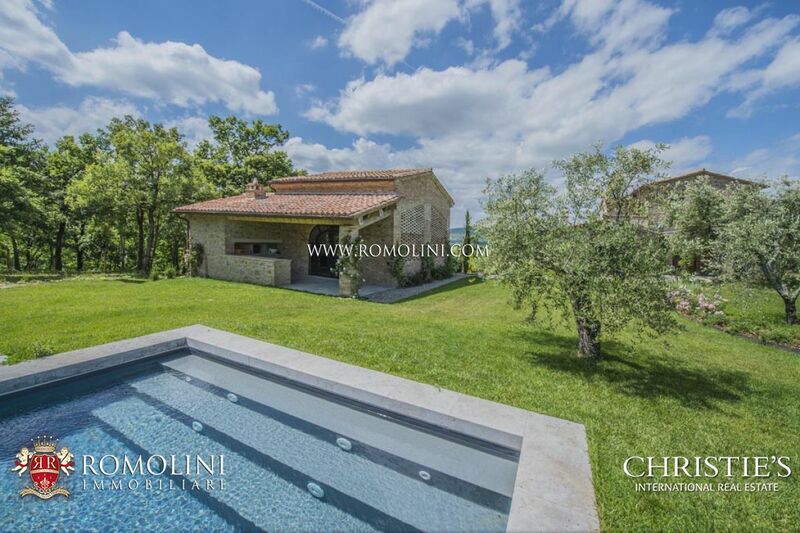 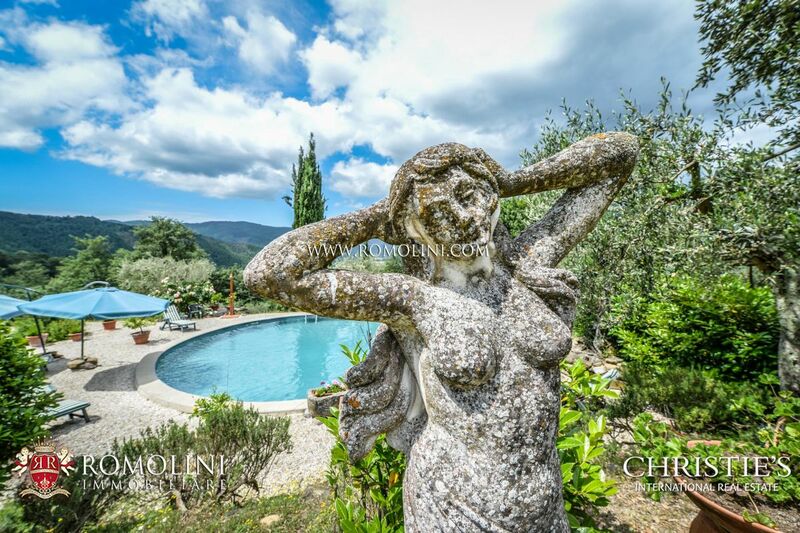 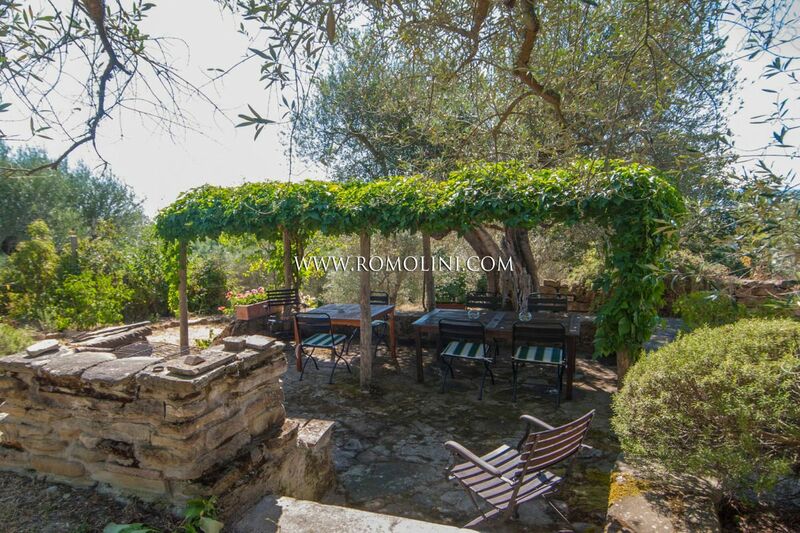 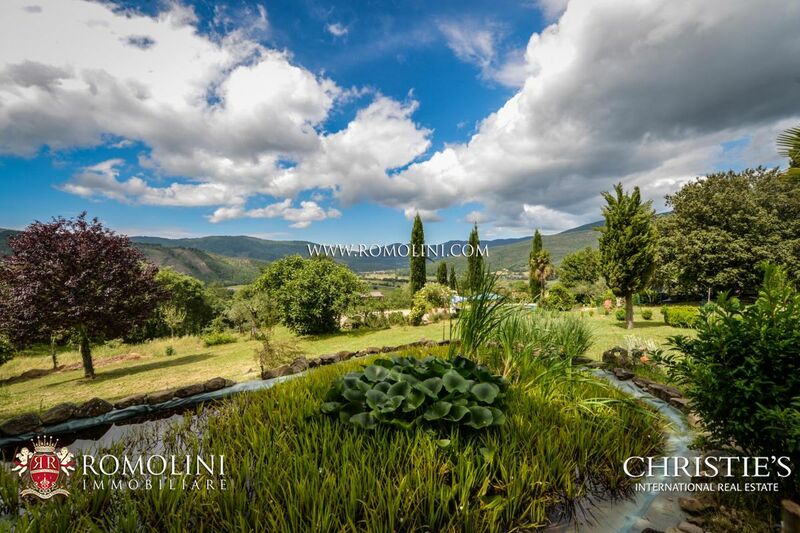 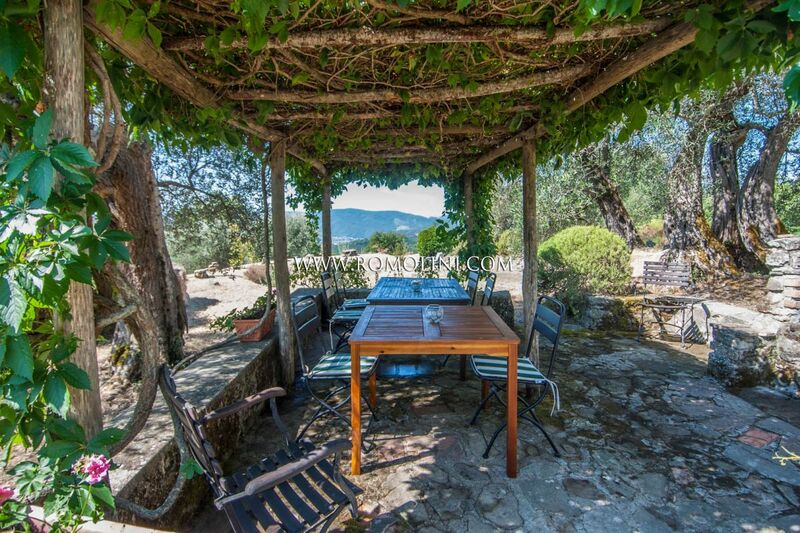 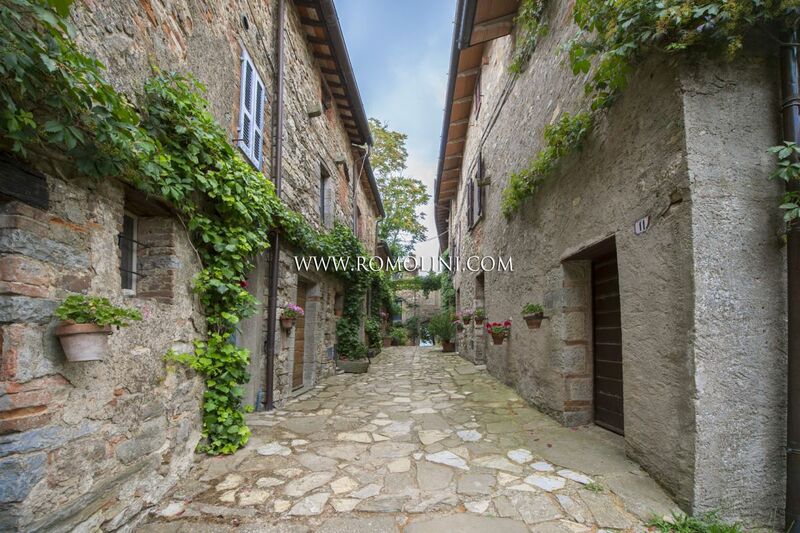 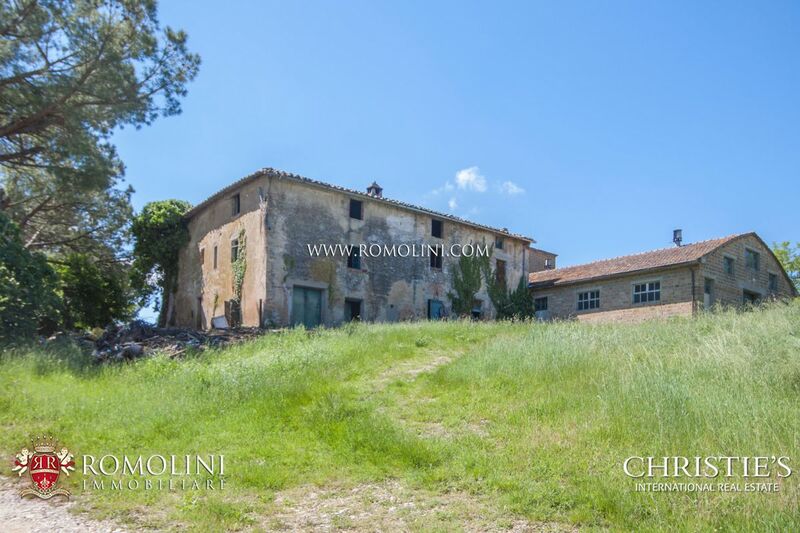 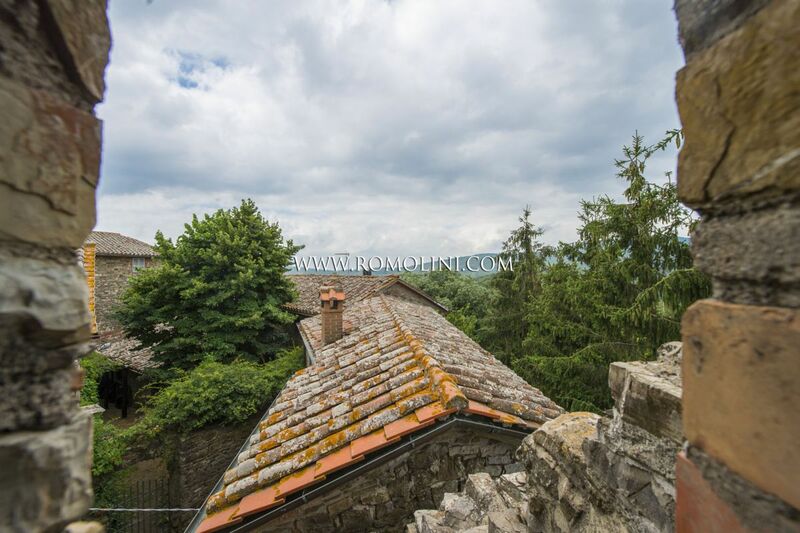 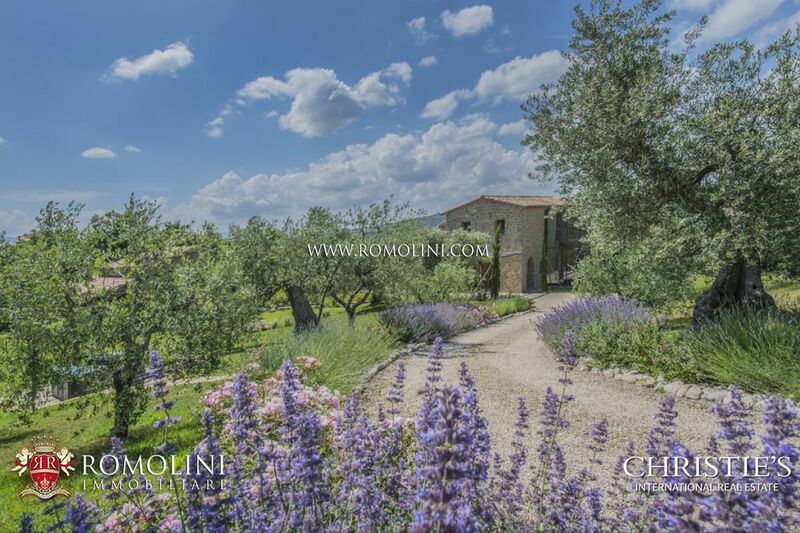 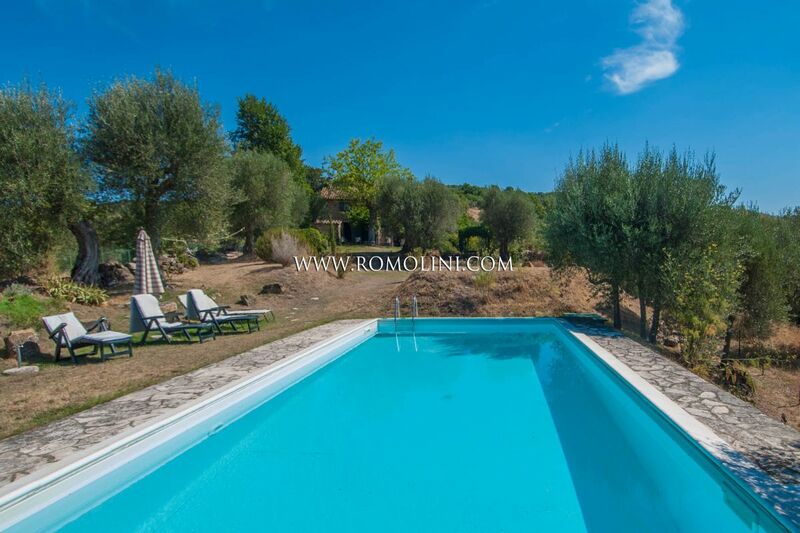 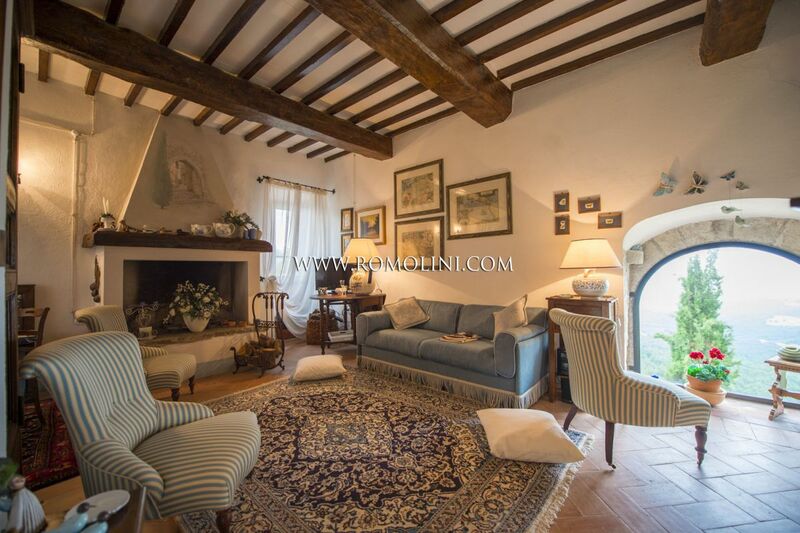 In panoramic position inside a beautiful medieval fortified hamlet in the heart of Umbria, this 80 sqm apartment with two bedrooms is perfect for anyone looking for a private but not-too-isolated residence with all the services at hand. 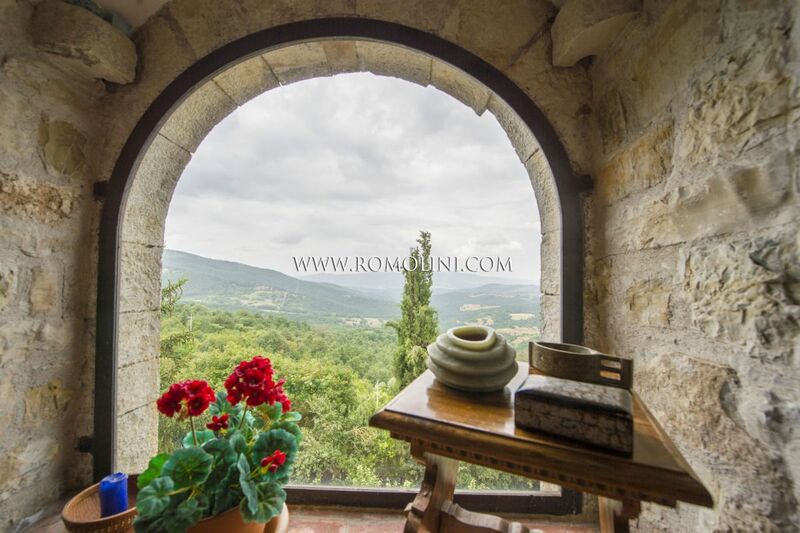 The arched window in the living room offers a beautiful view over the Umbrian countryside and grants an excellent brightness in the room.